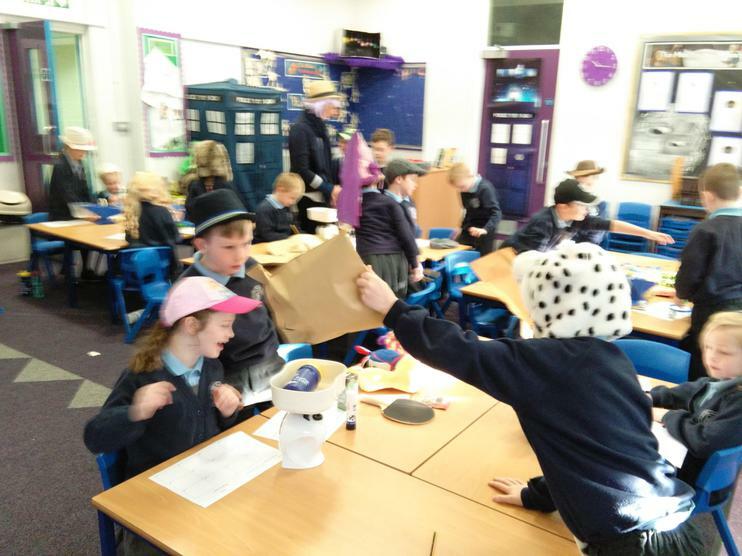 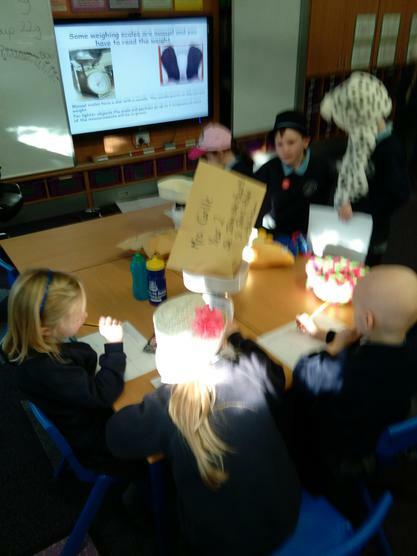 Year 2 and their families are fantastic and are always so kind and thoughtful when it comes to raising money for good causes. 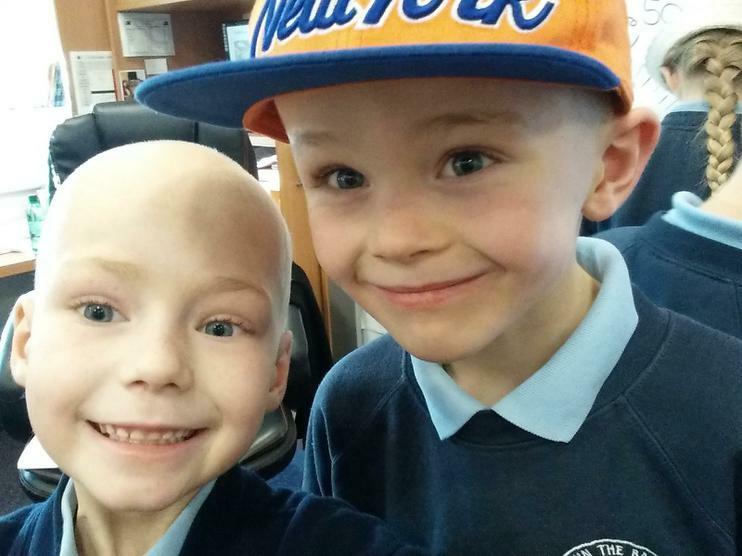 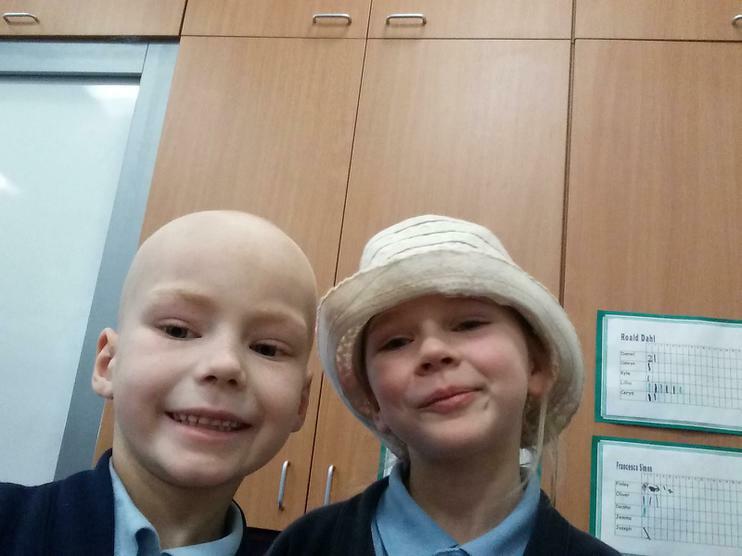 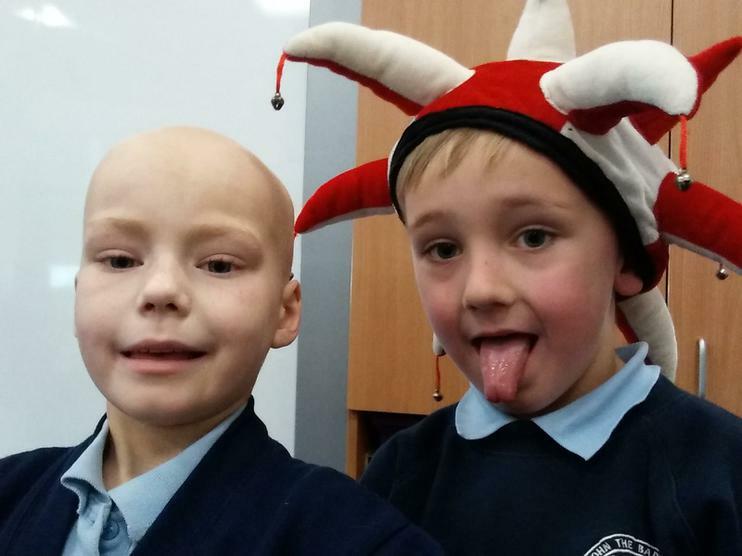 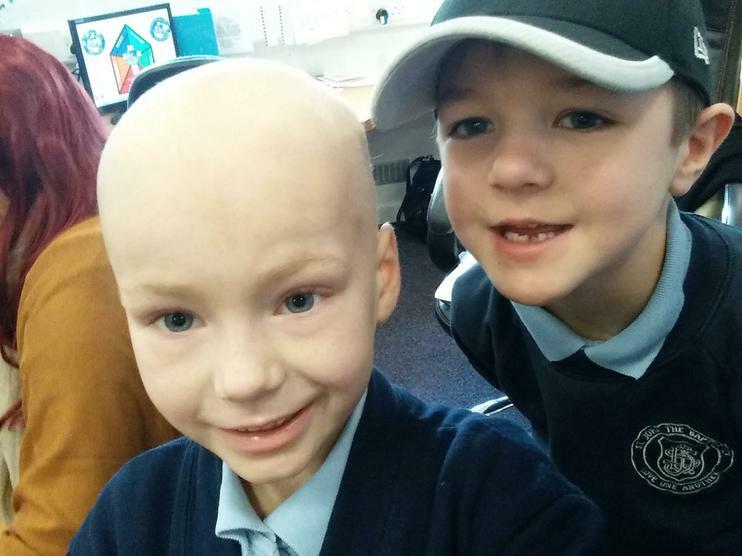 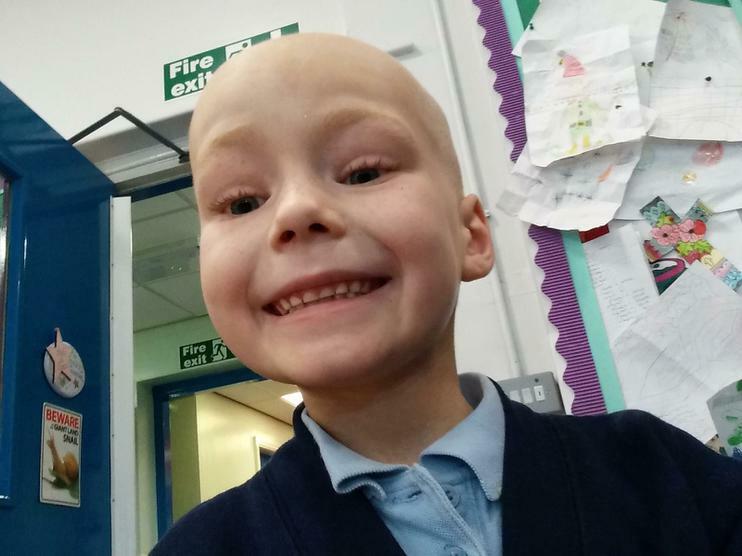 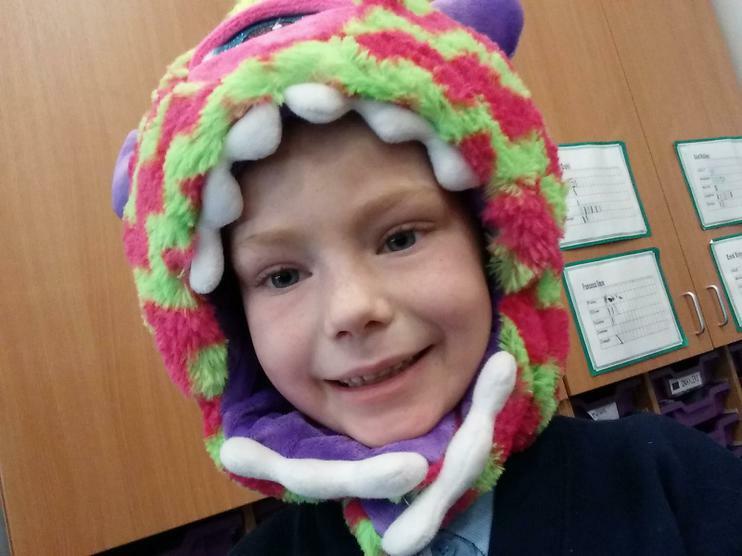 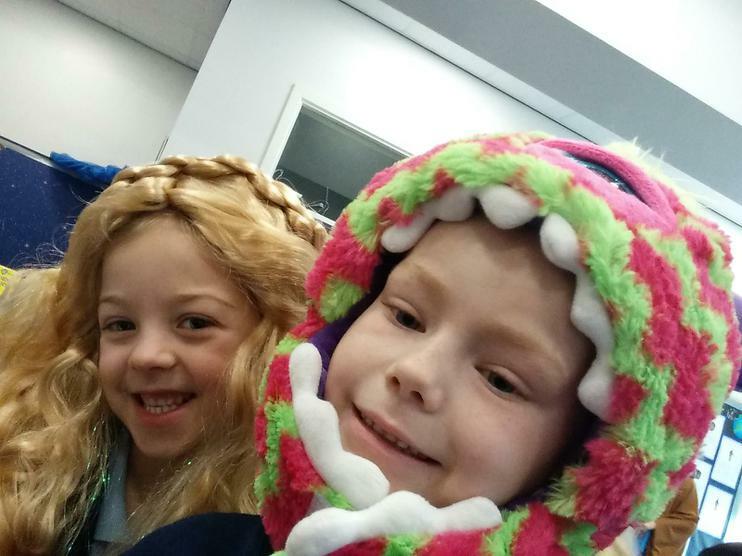 Our friend Tia, who was diagnosed with cancer in October 2015 has been receiving treatment at Manchester Children's Hospital and is due to go for her 6th round of chemotherapy later this month. 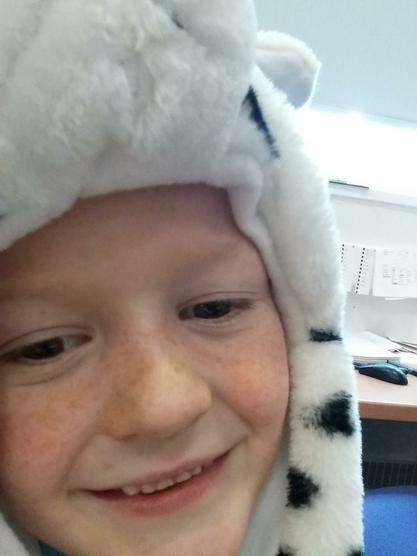 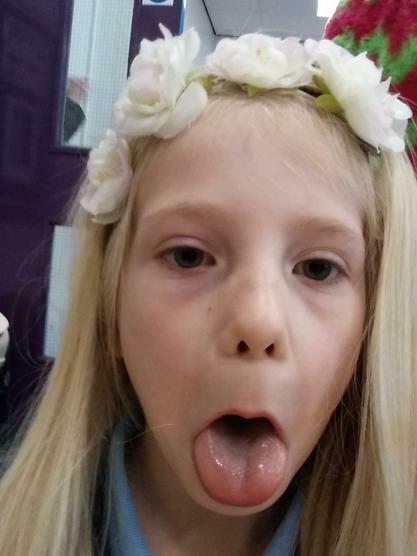 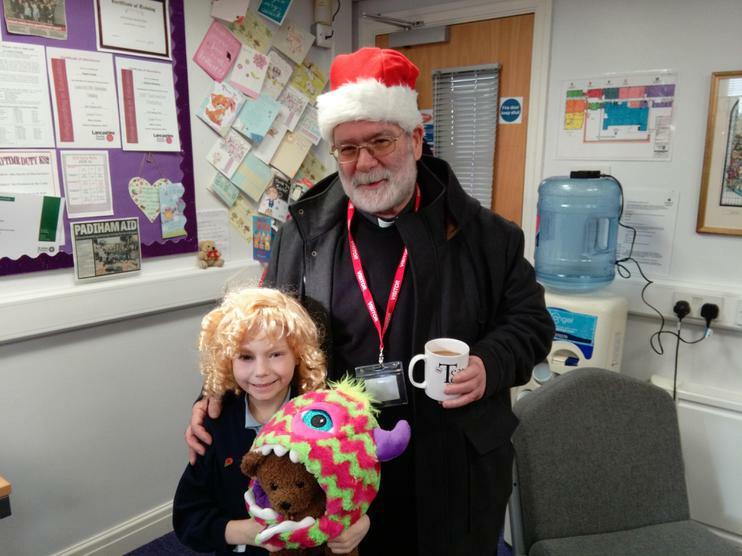 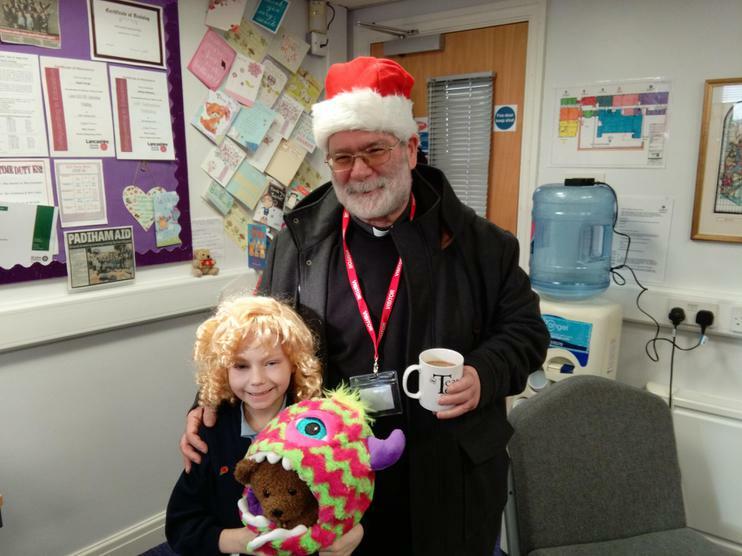 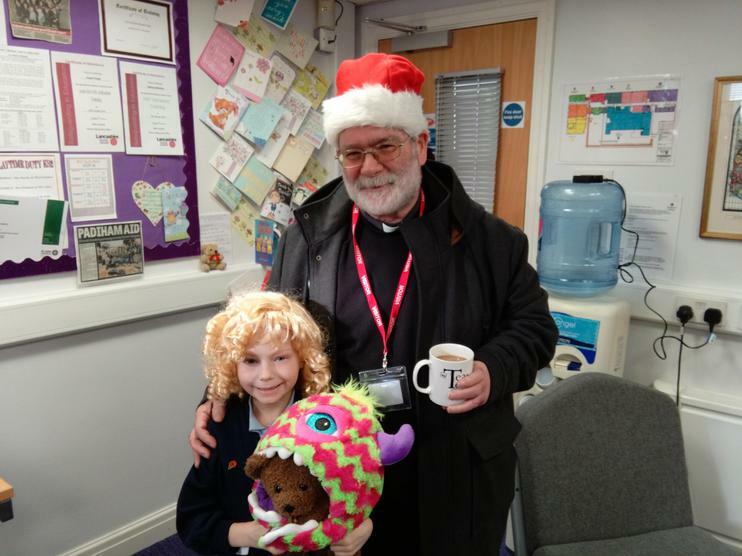 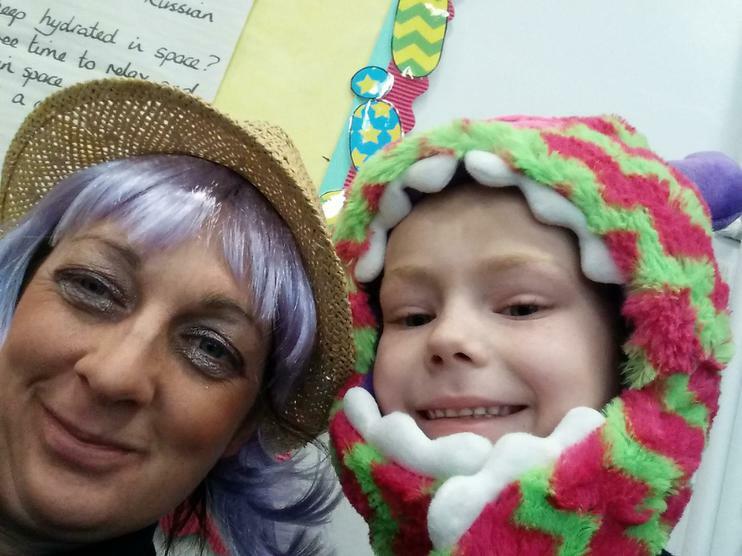 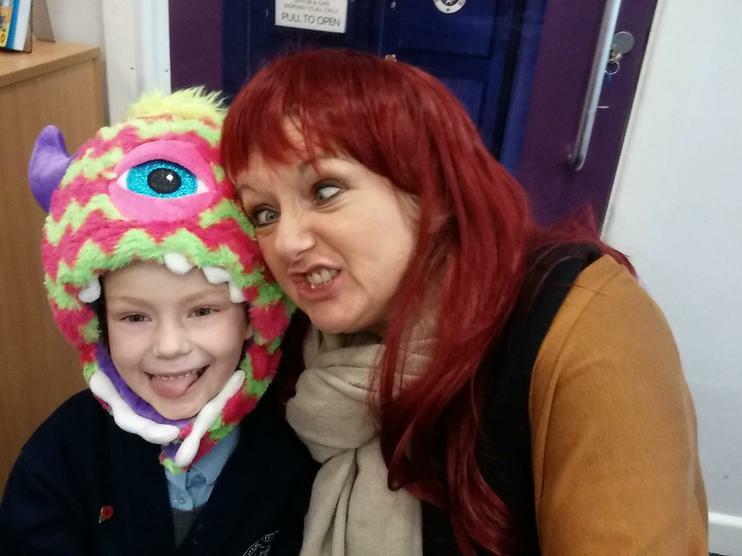 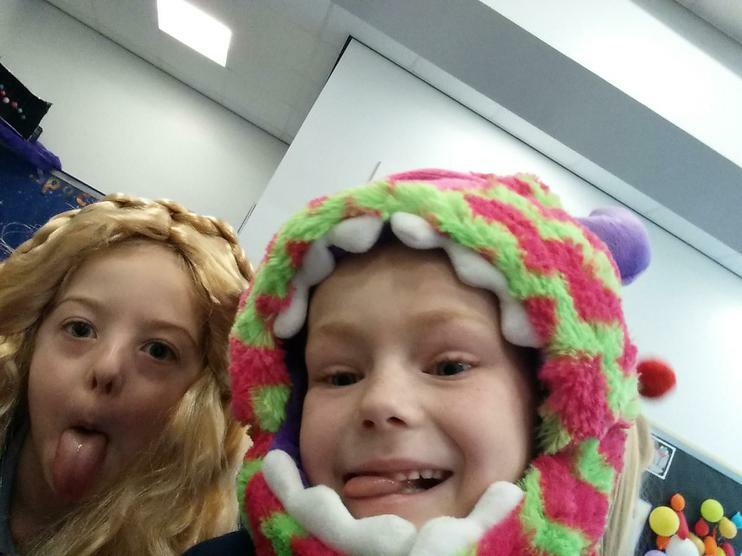 Tia has amazed all of us with her bravery throughout her journey of being poorly and her sheer determination to come to school as often as possible has amazed everyone. 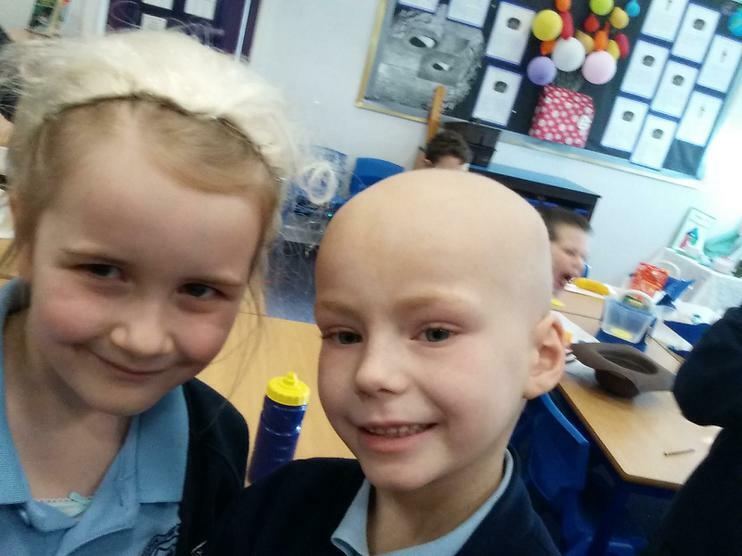 Tia and her family are always in our prayers each and every day but we also wanted to do something practical and charitable to help. 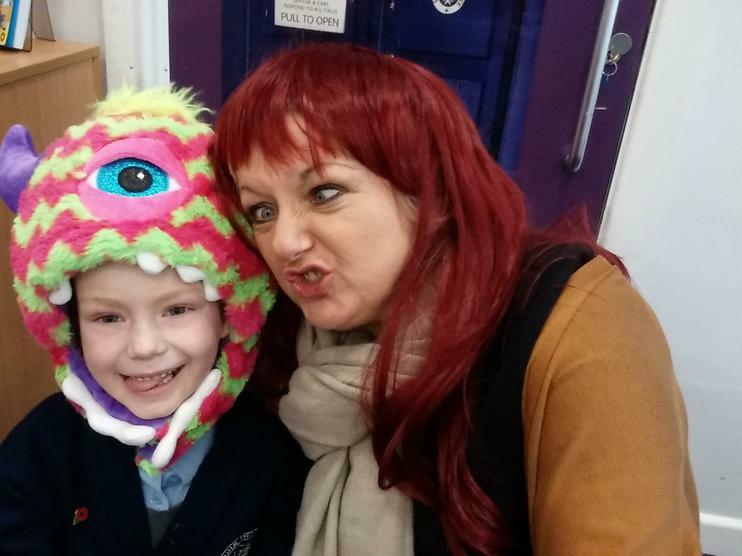 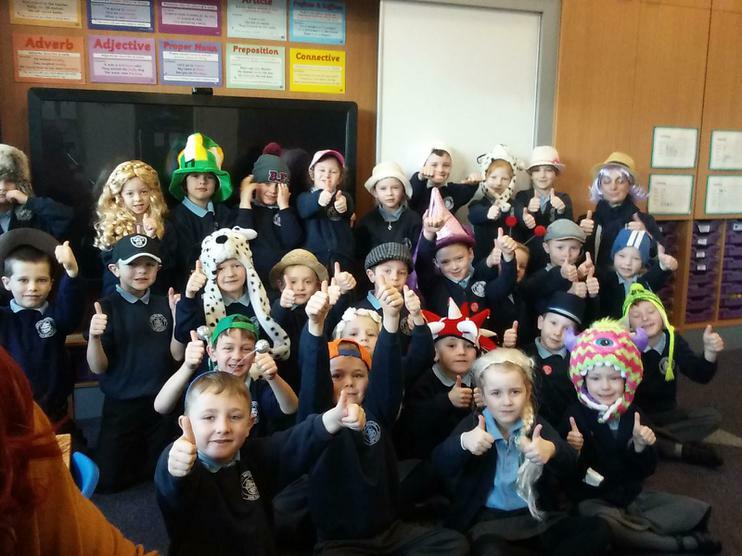 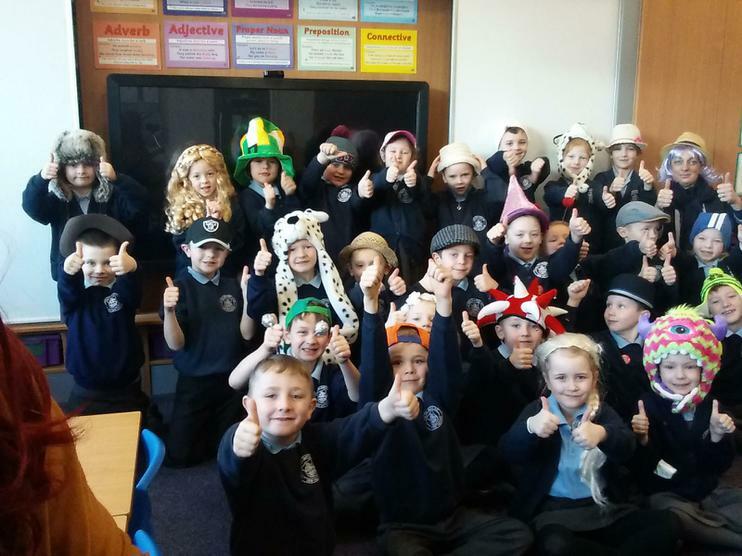 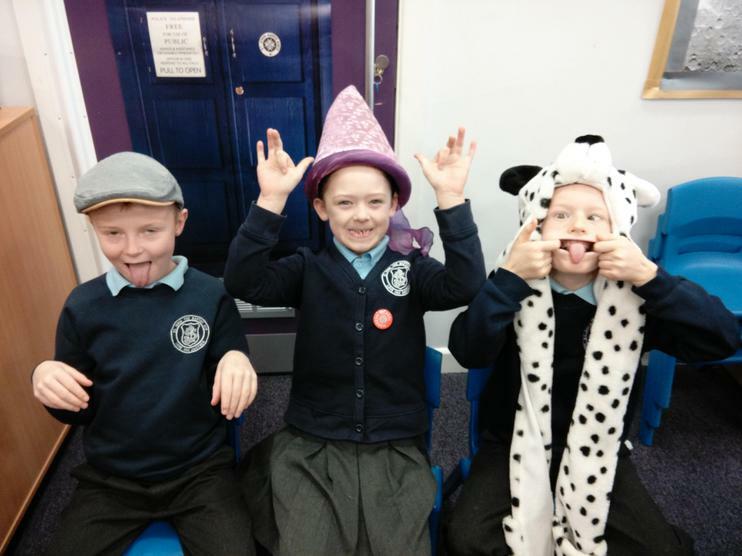 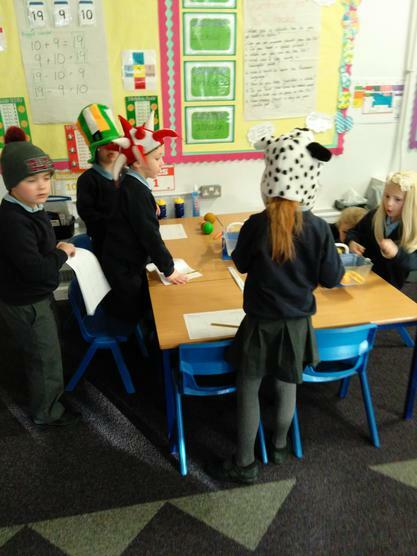 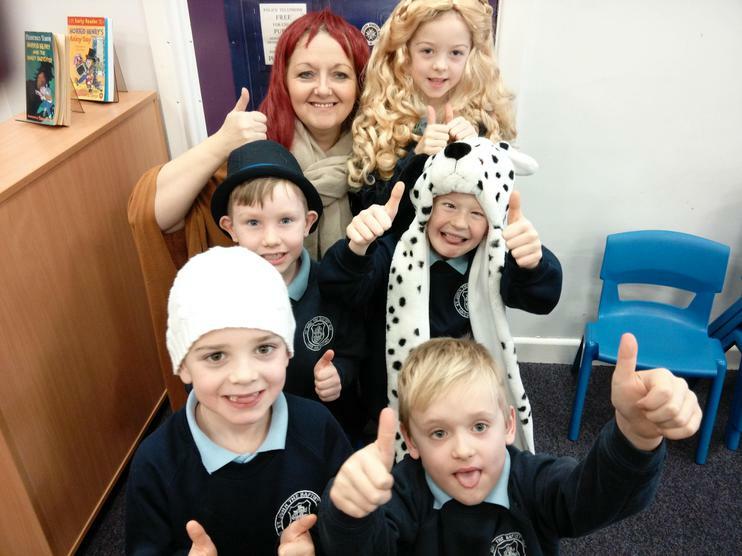 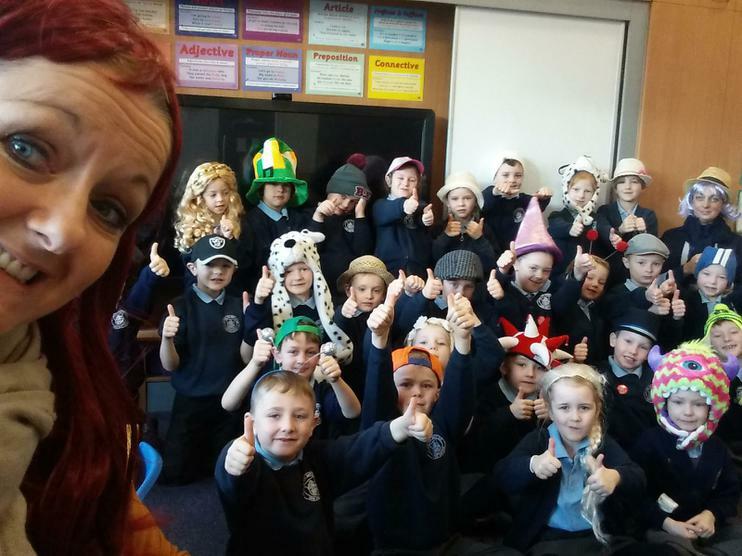 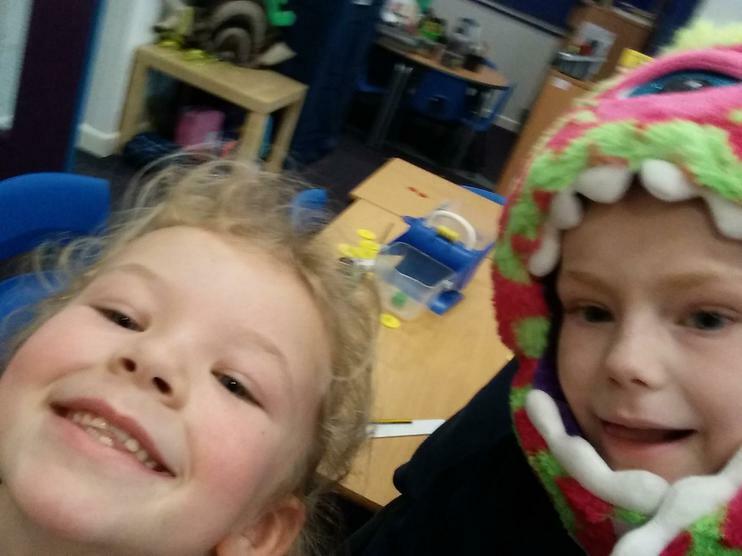 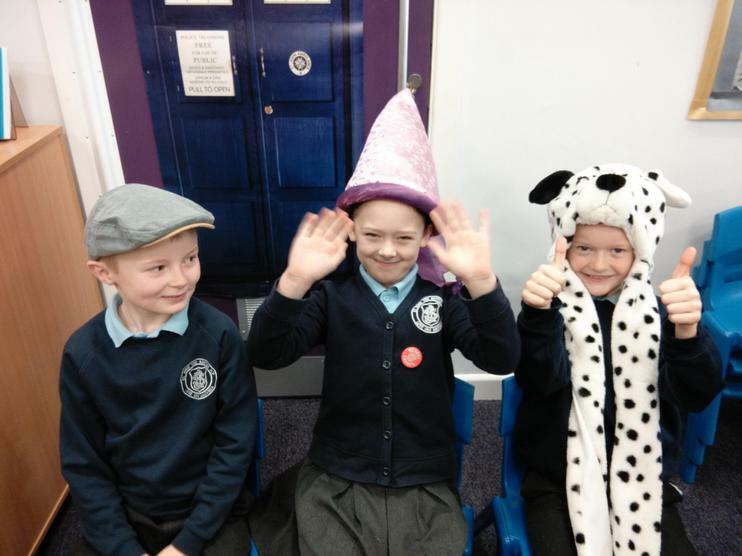 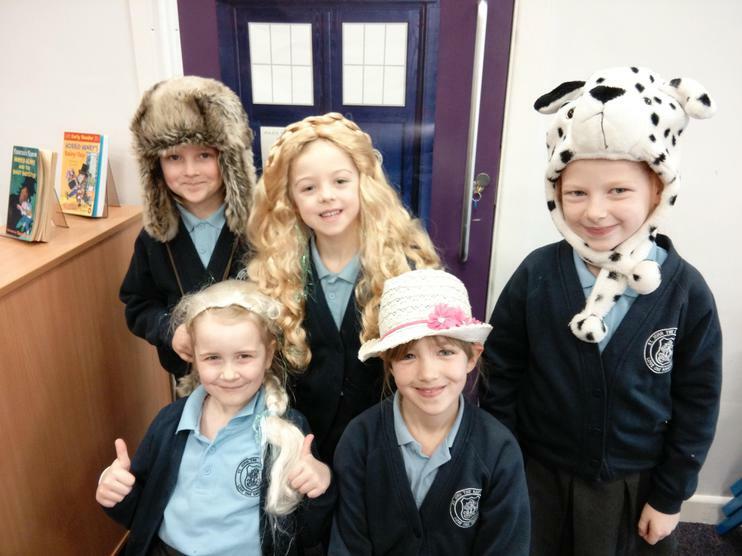 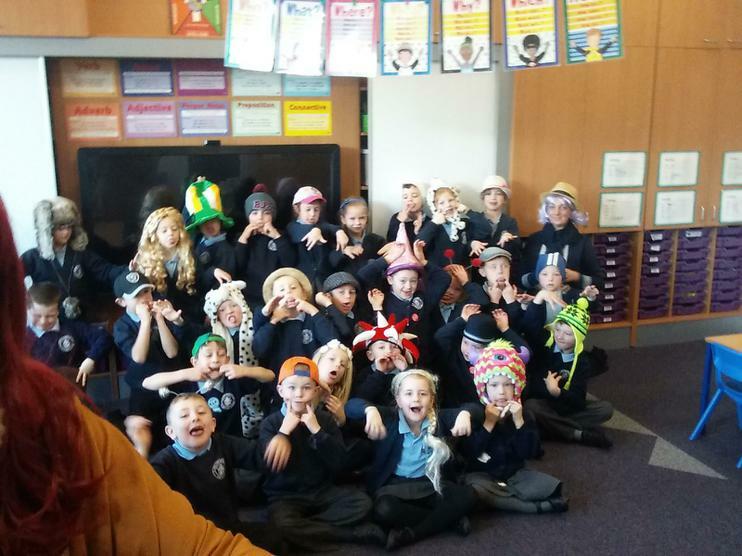 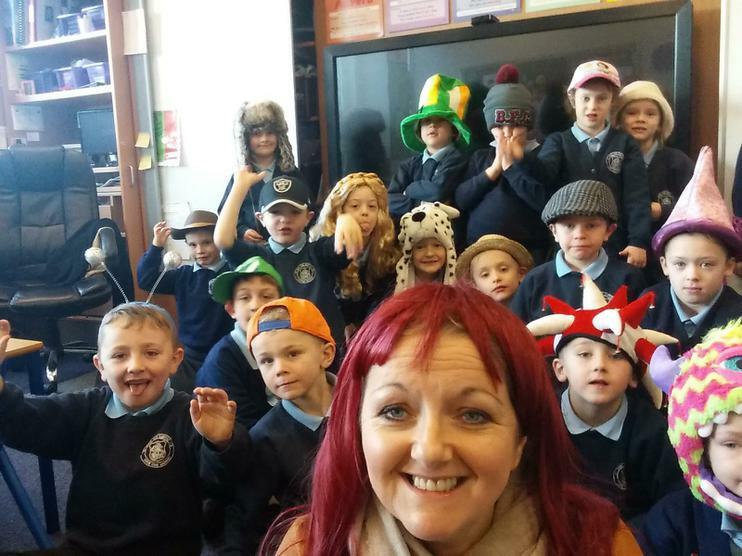 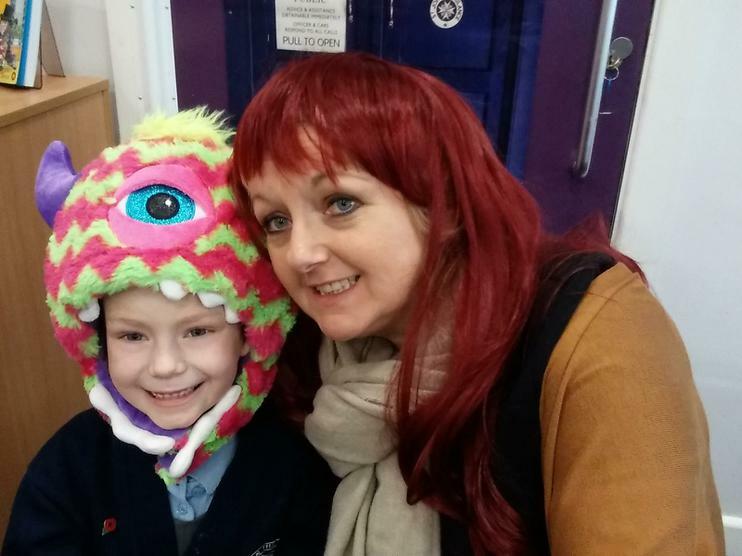 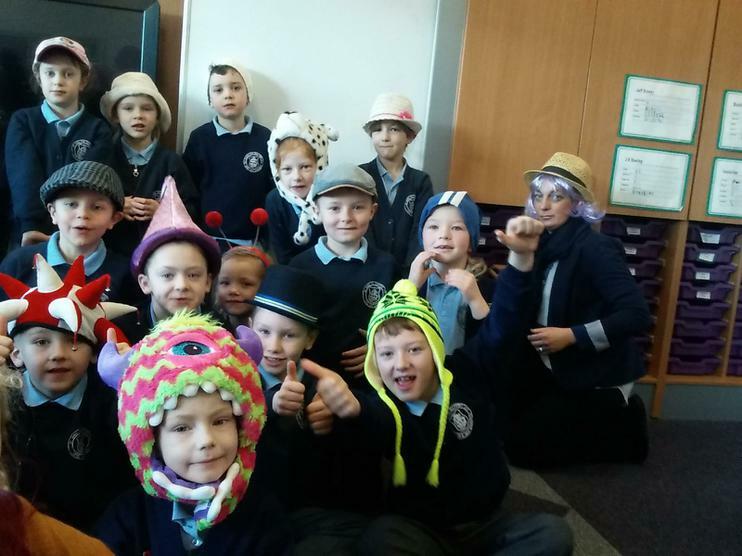 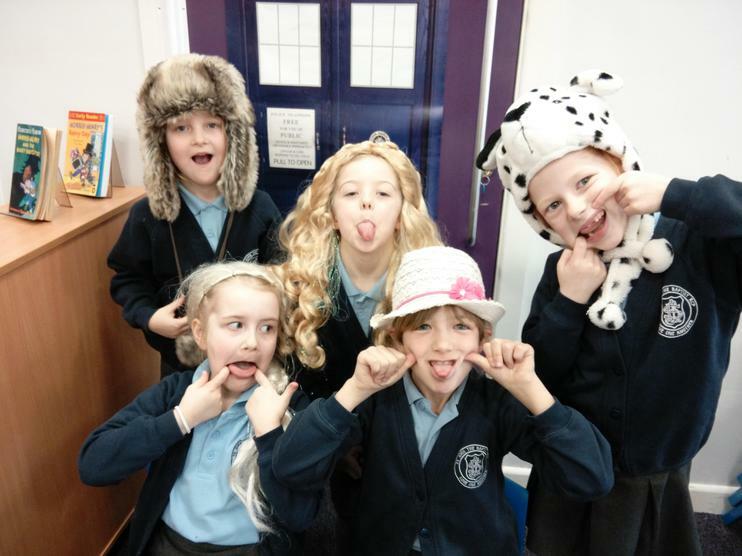 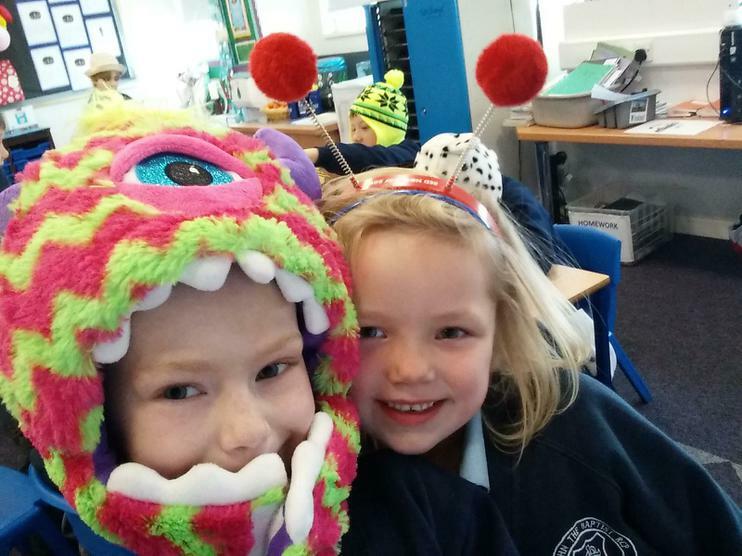 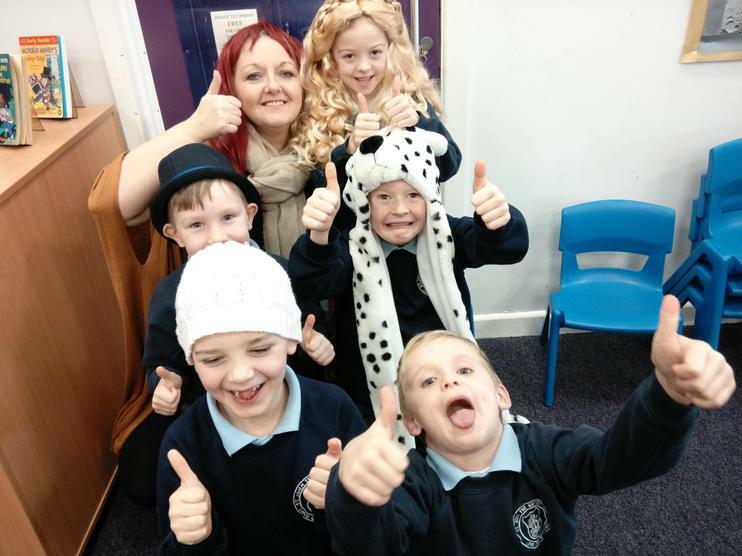 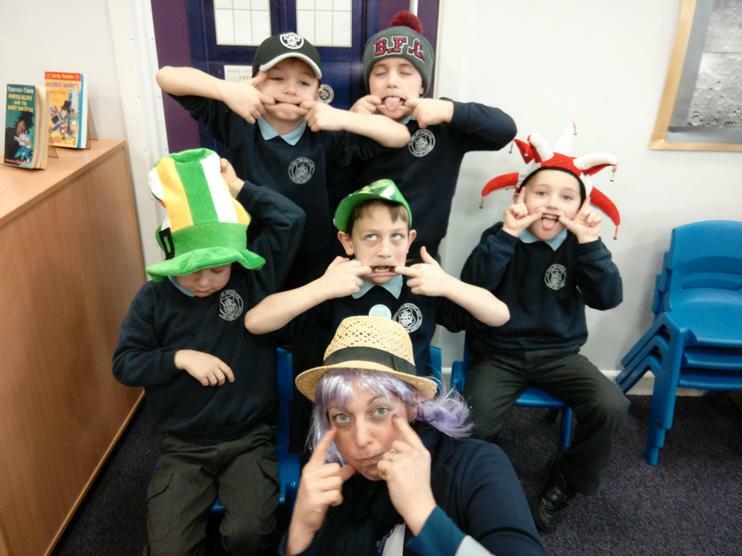 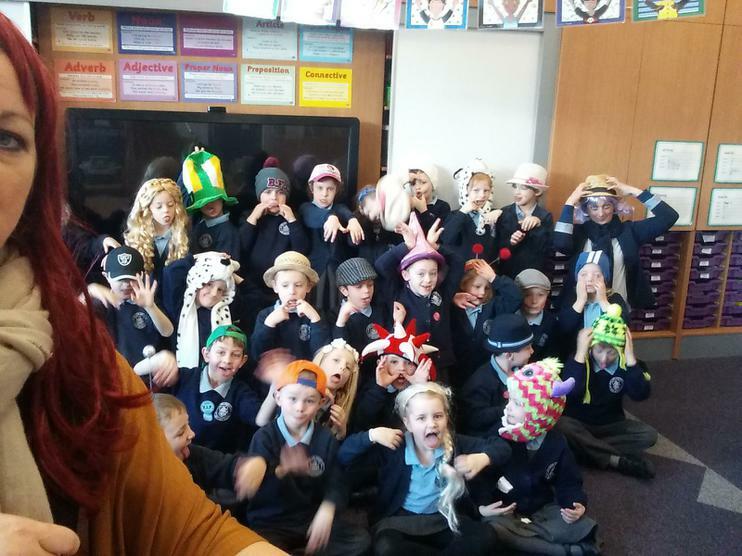 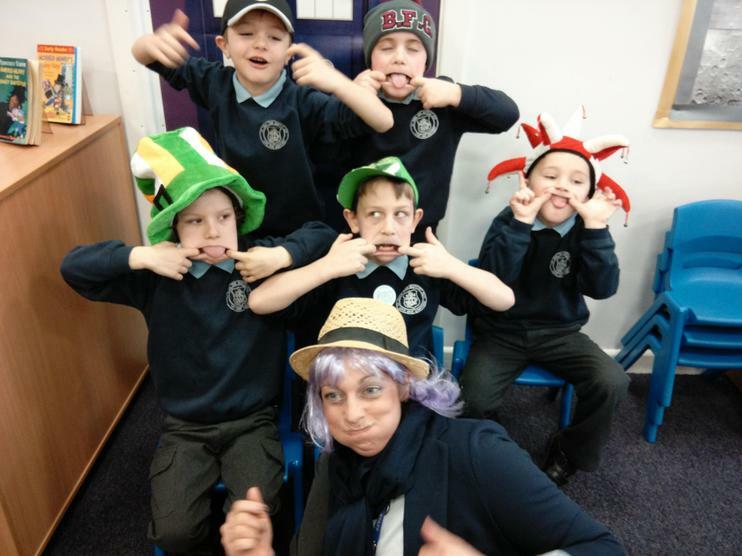 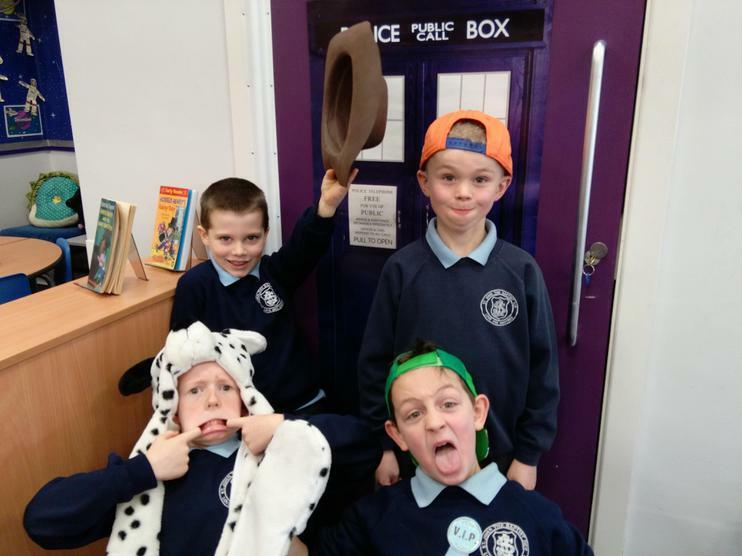 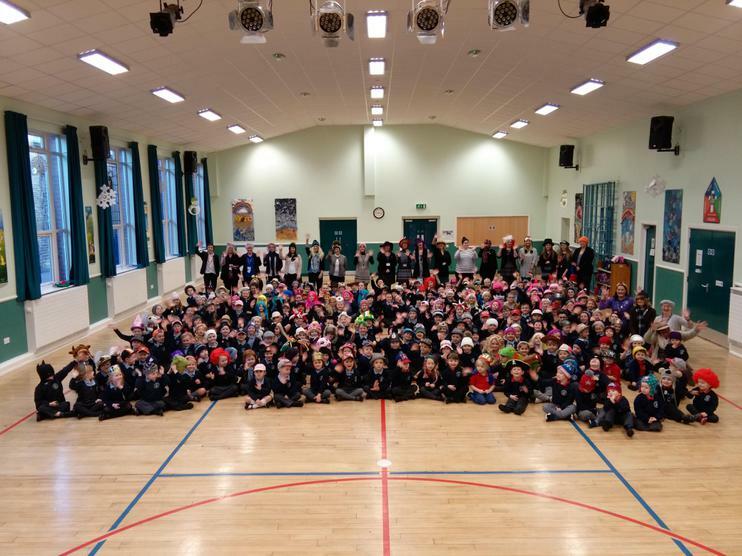 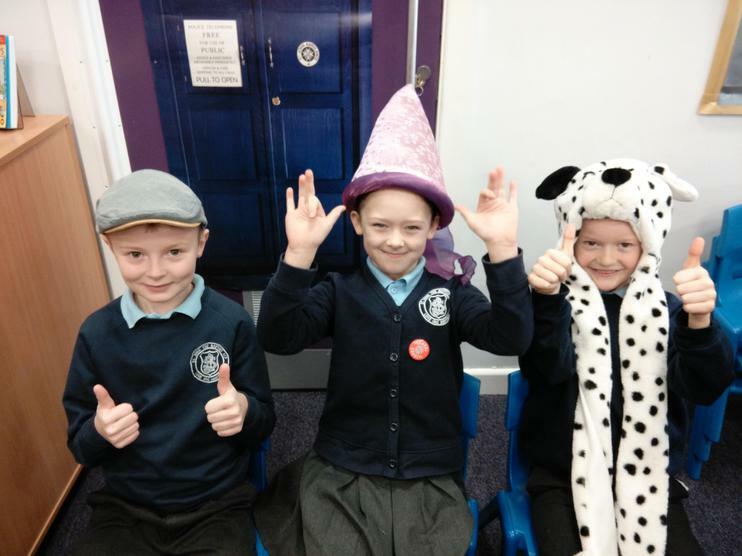 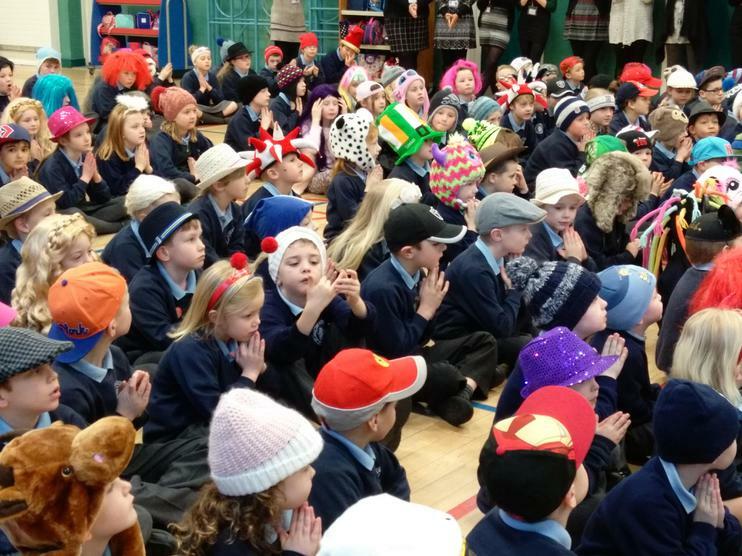 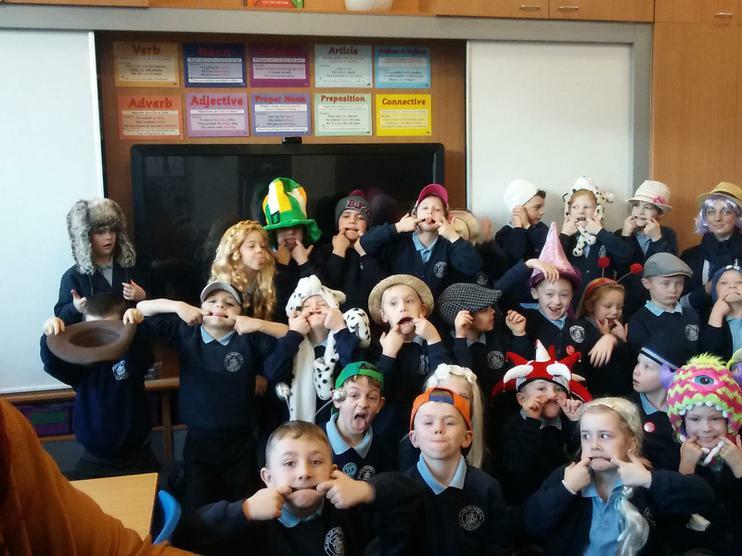 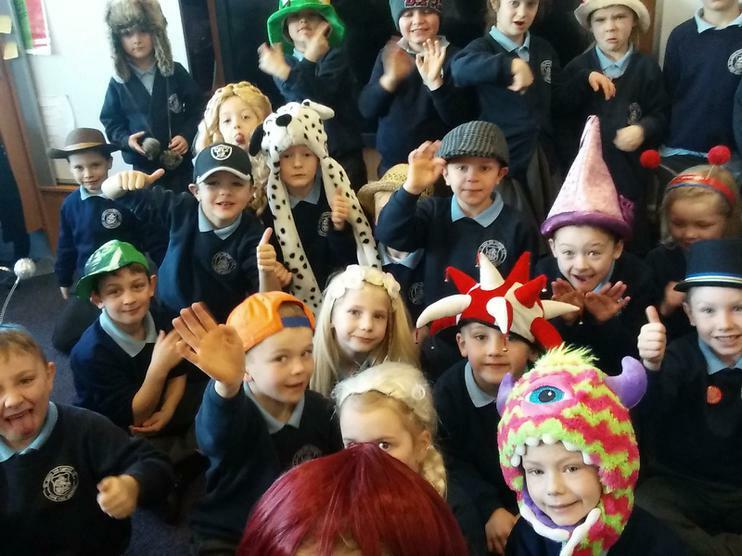 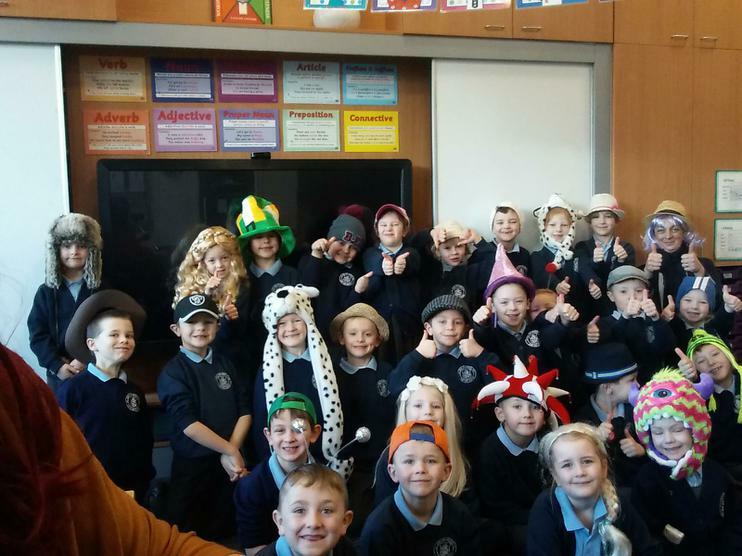 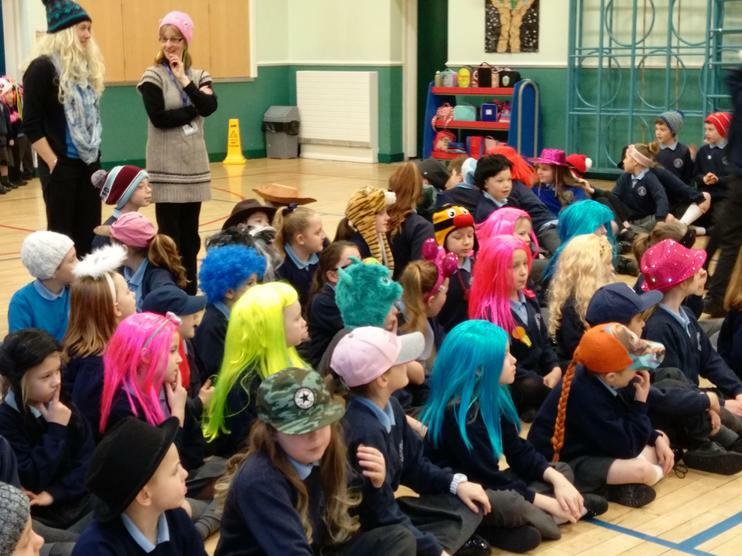 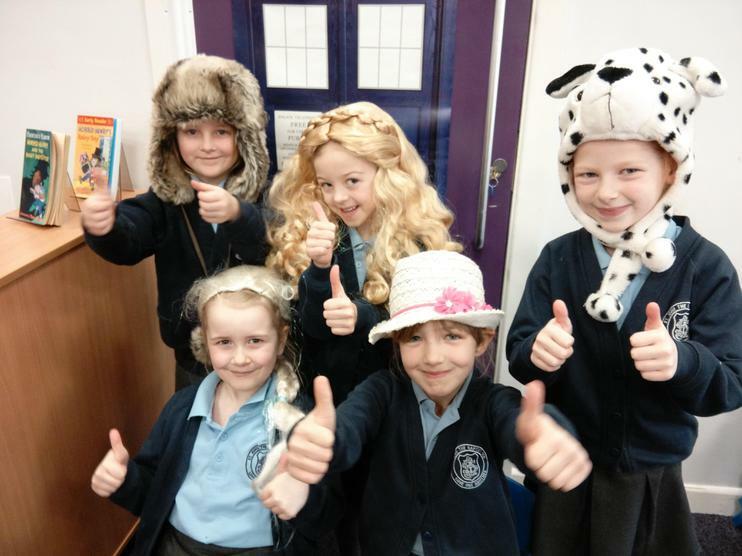 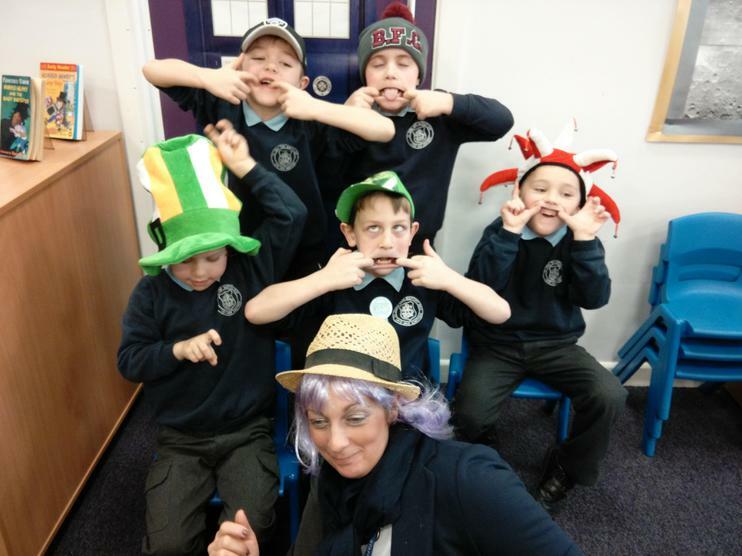 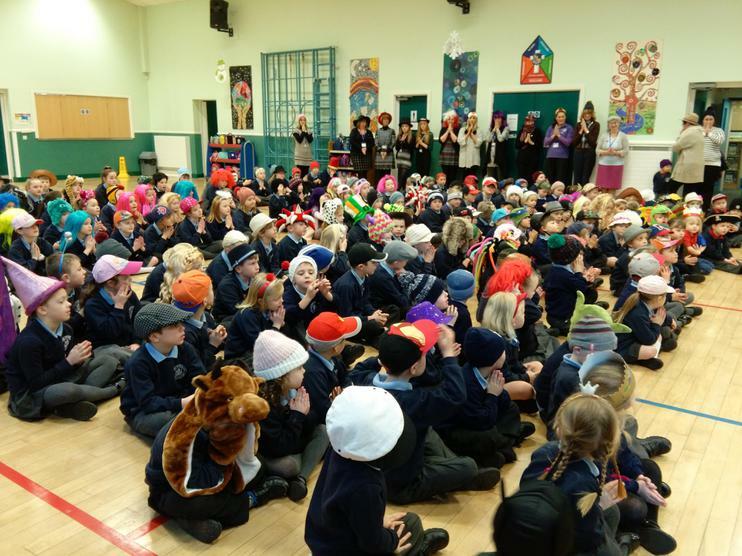 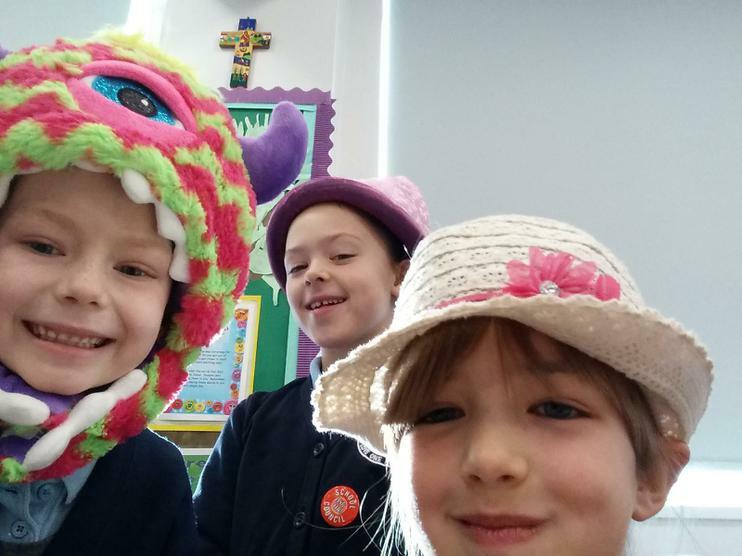 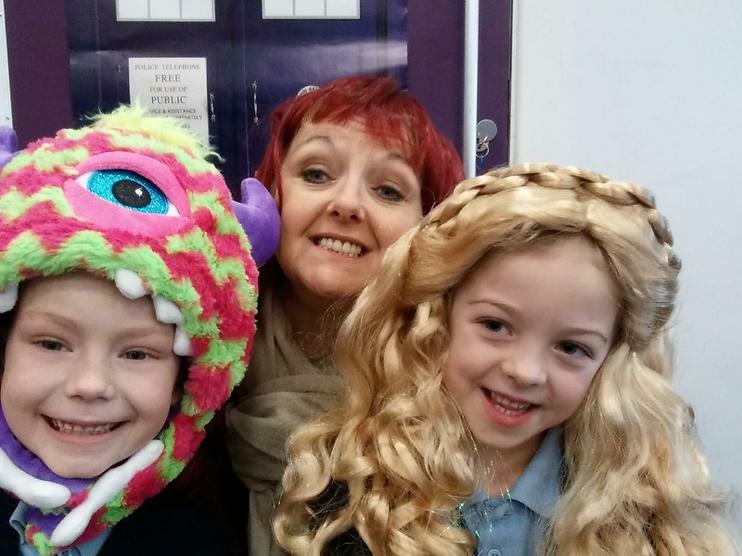 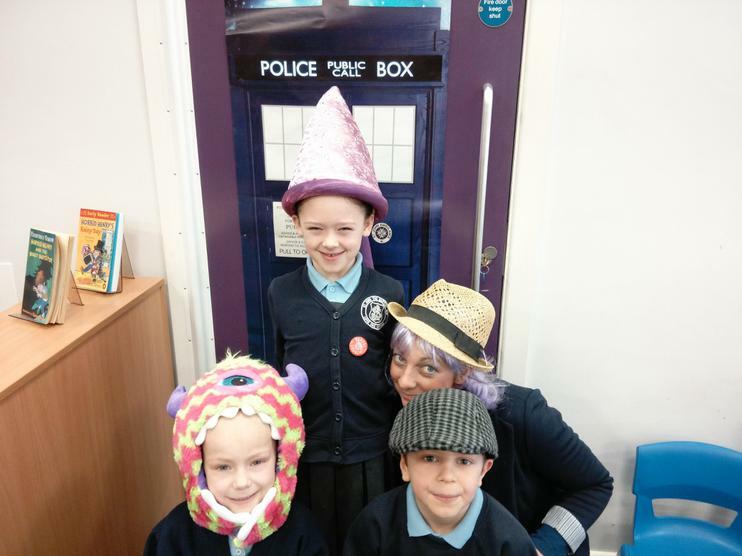 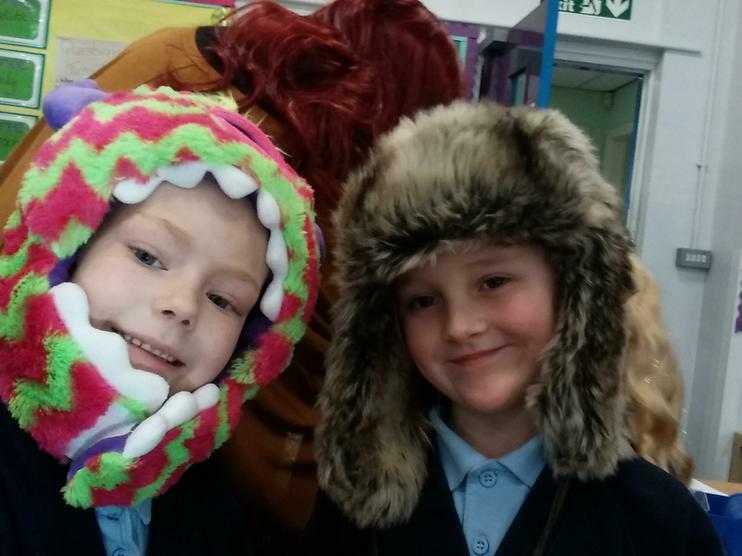 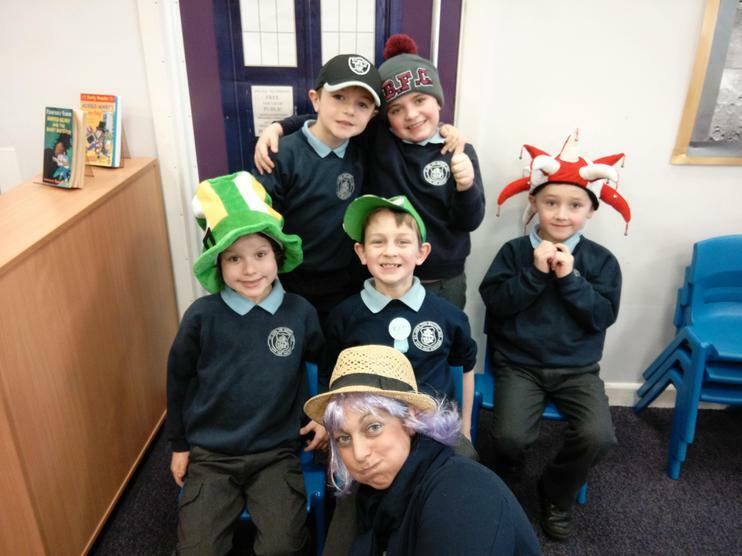 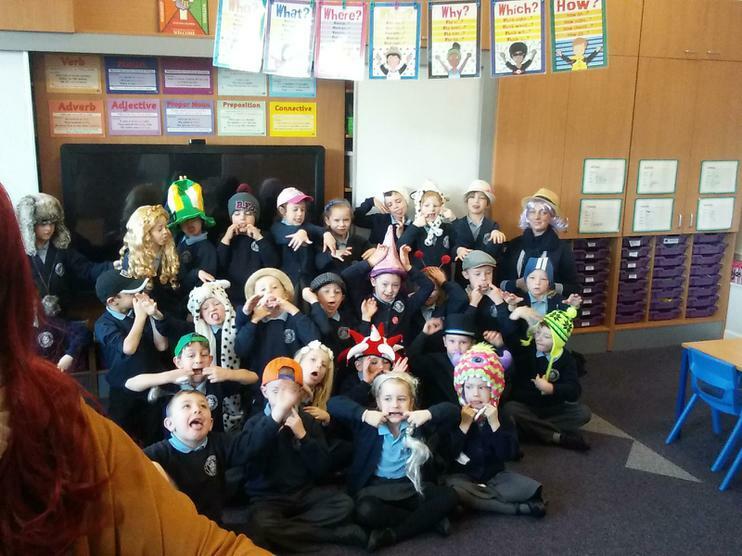 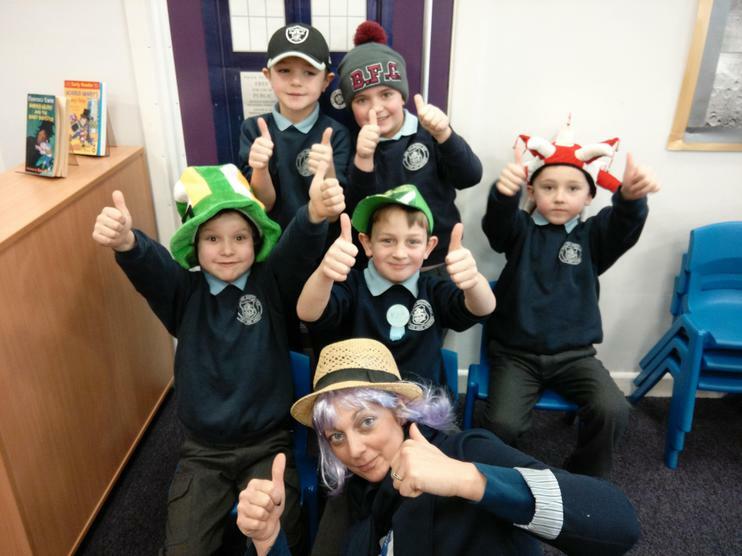 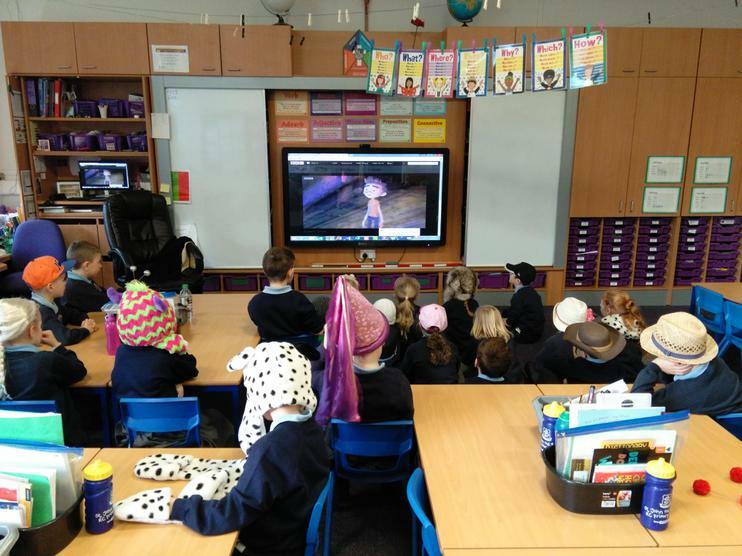 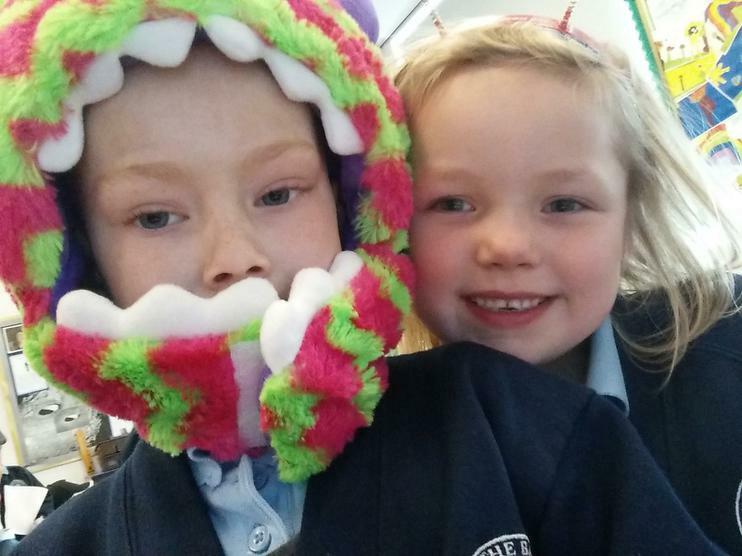 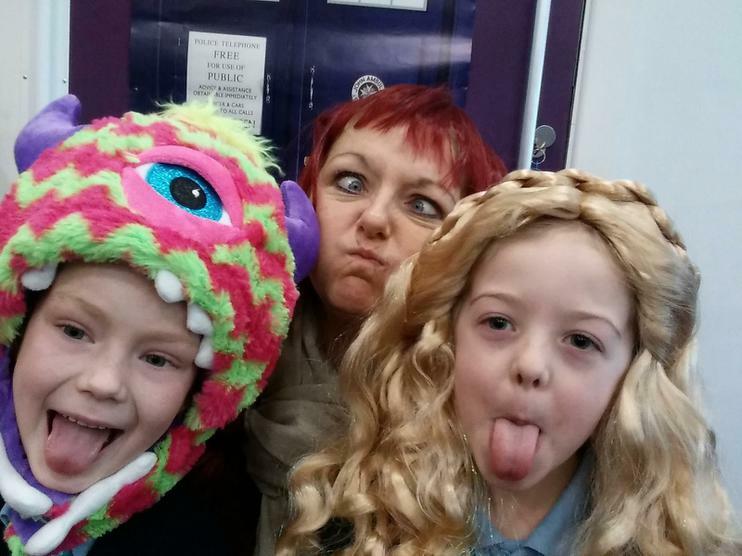 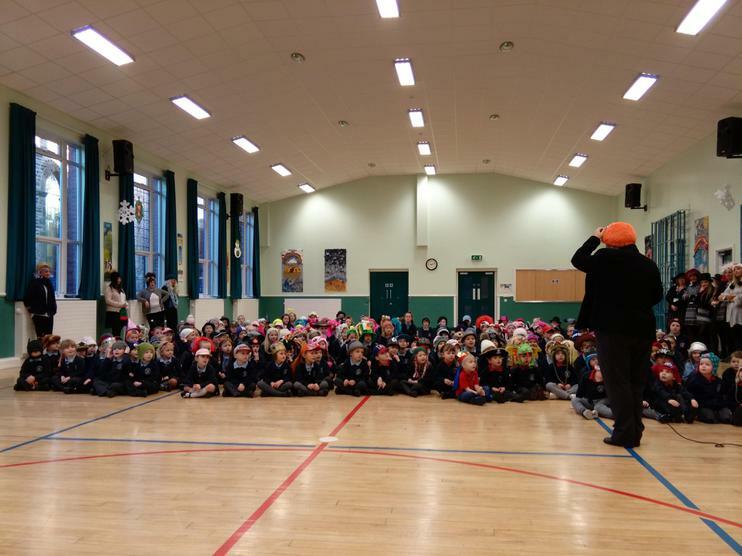 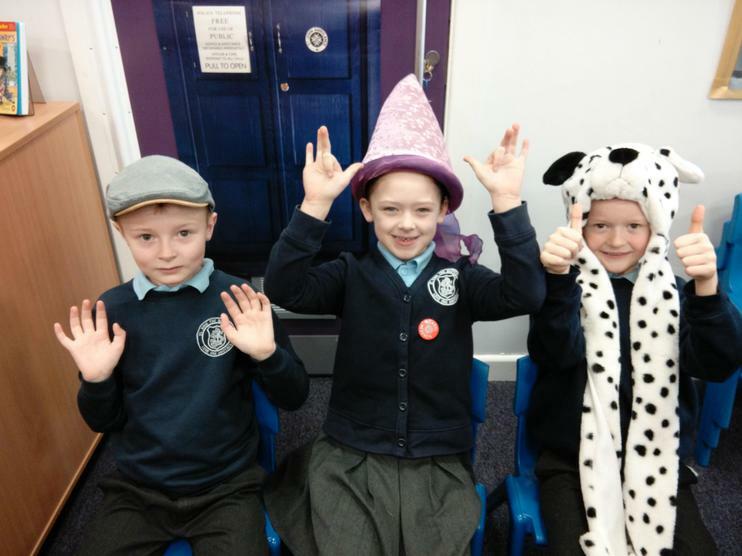 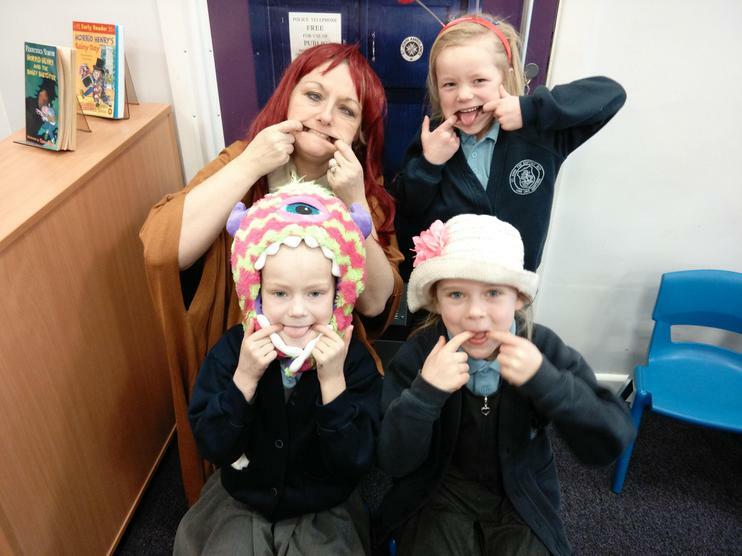 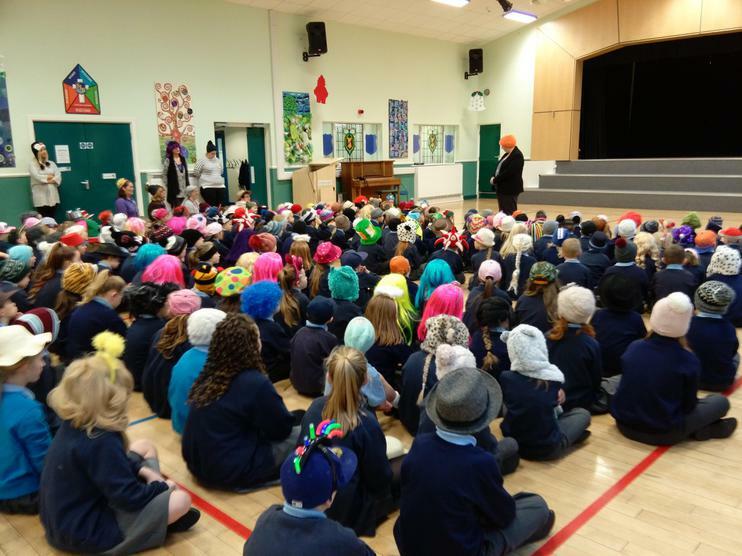 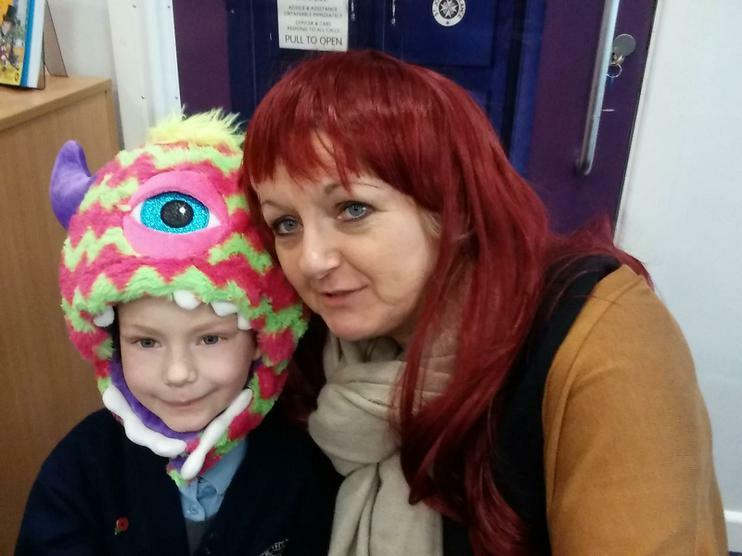 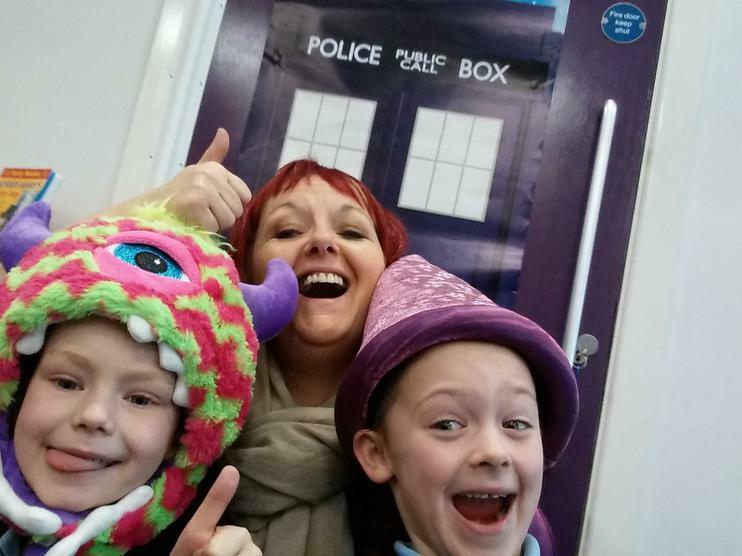 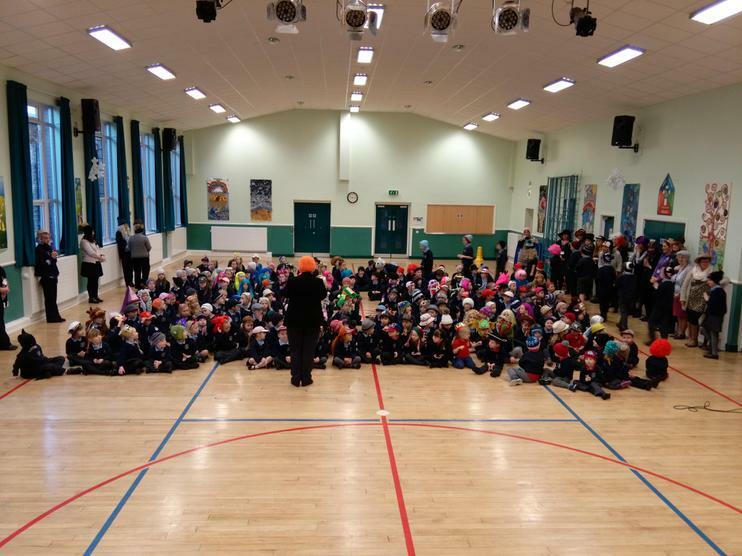 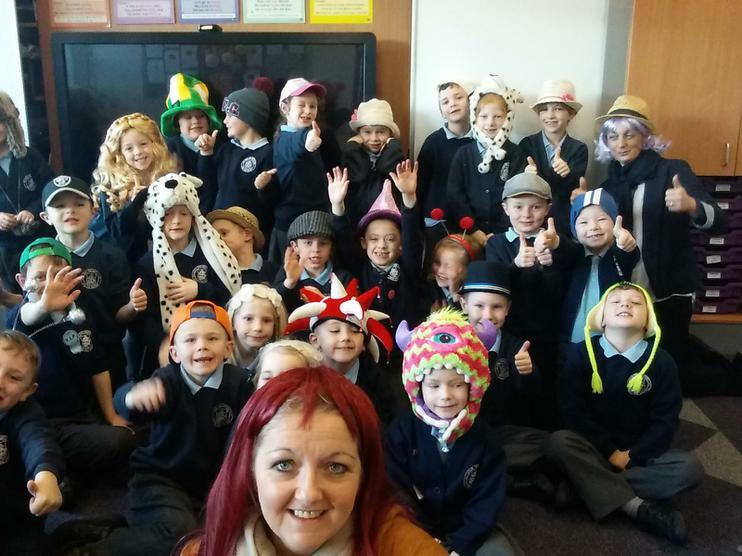 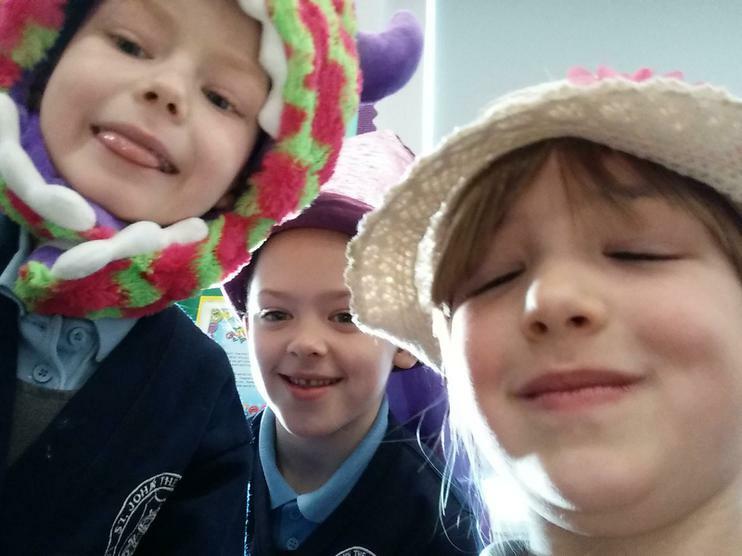 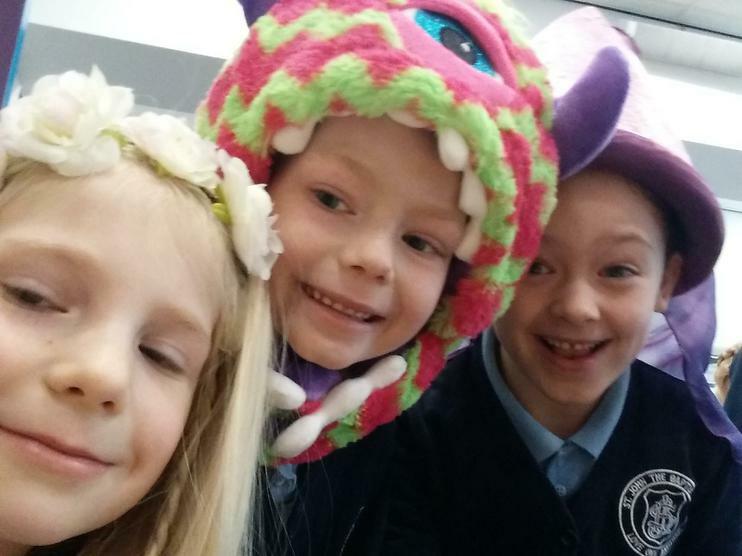 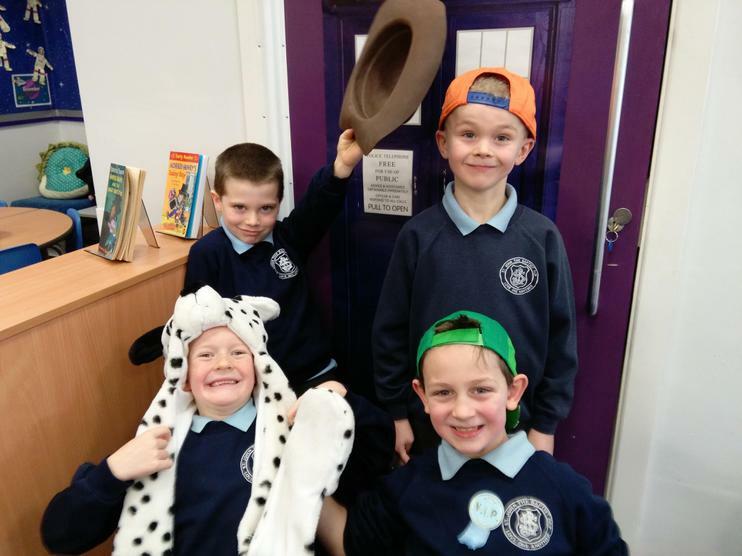 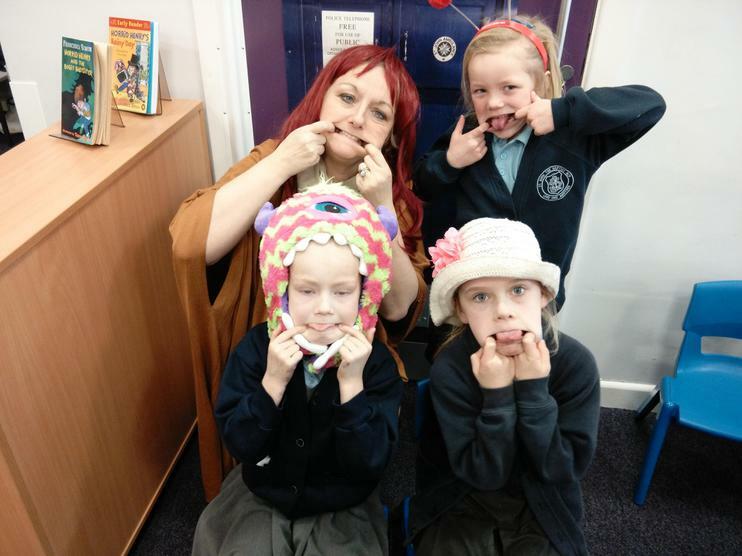 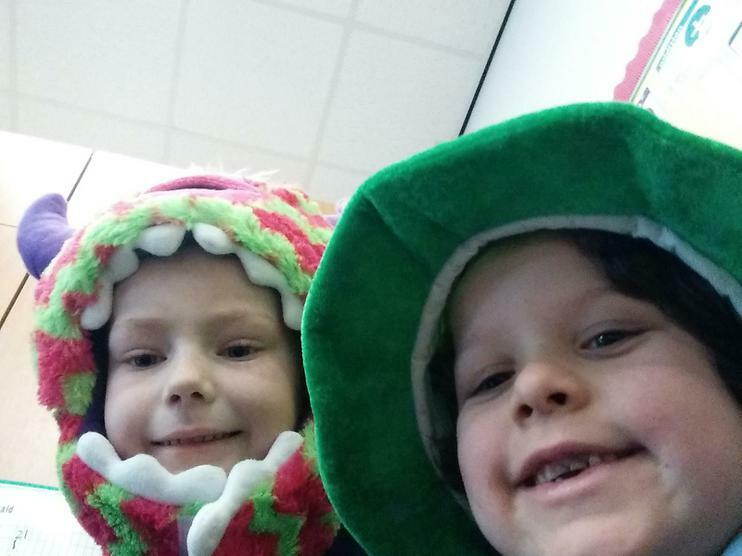 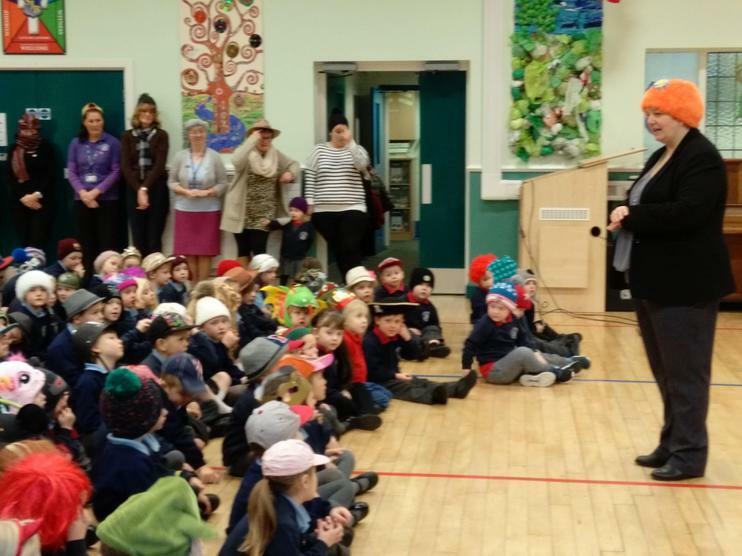 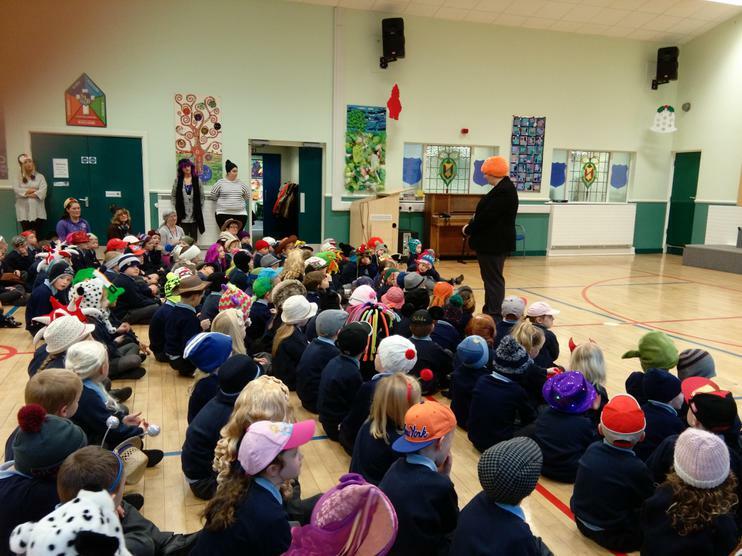 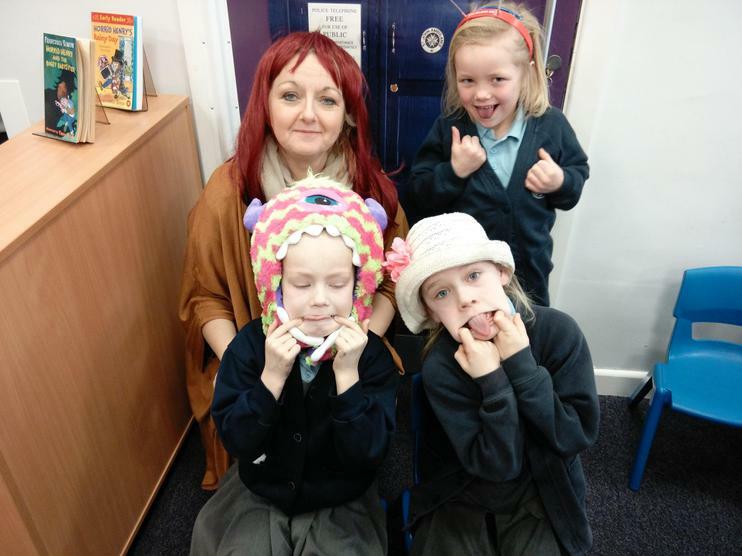 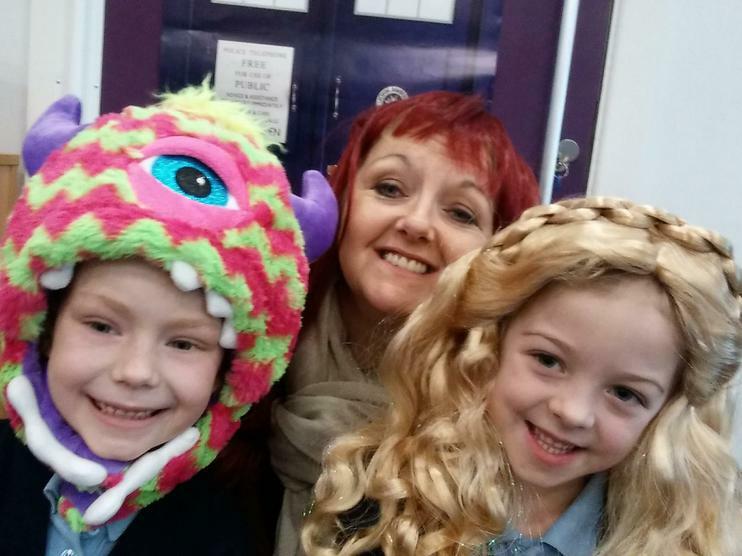 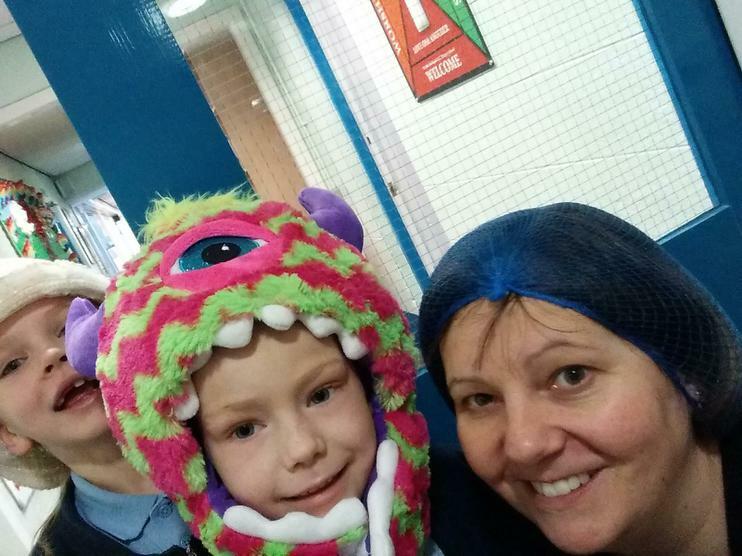 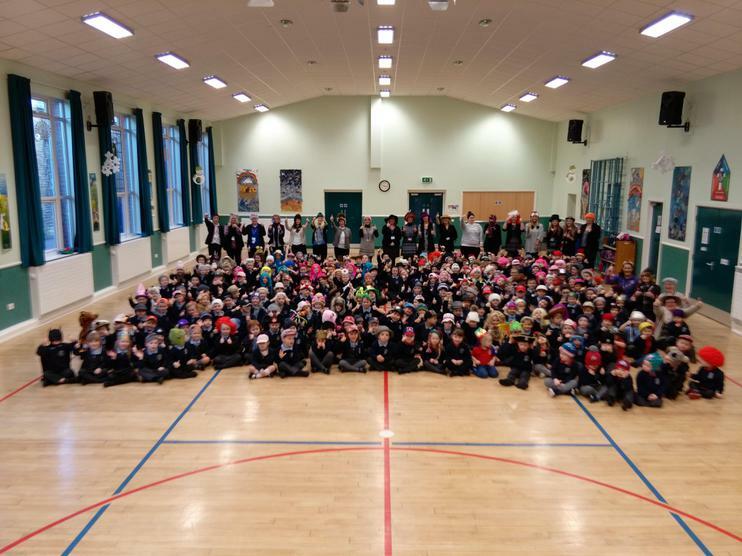 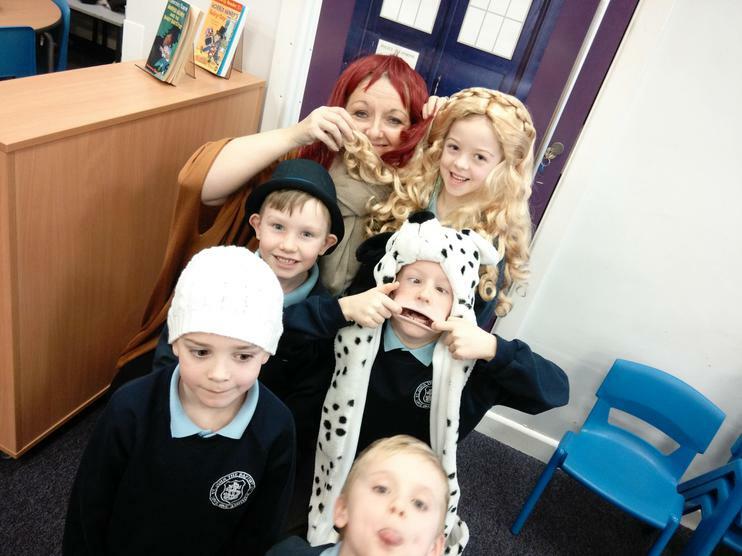 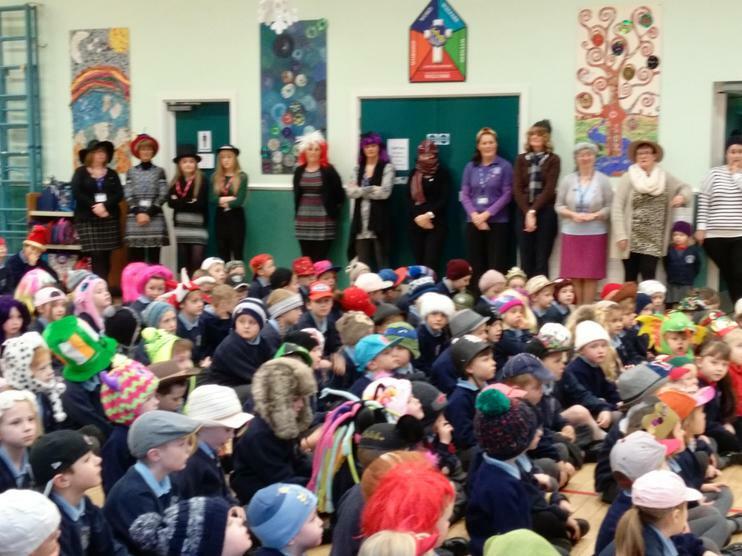 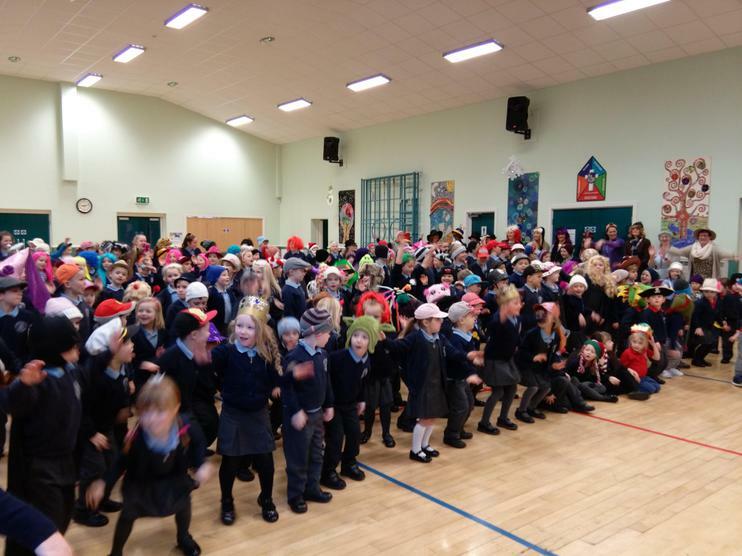 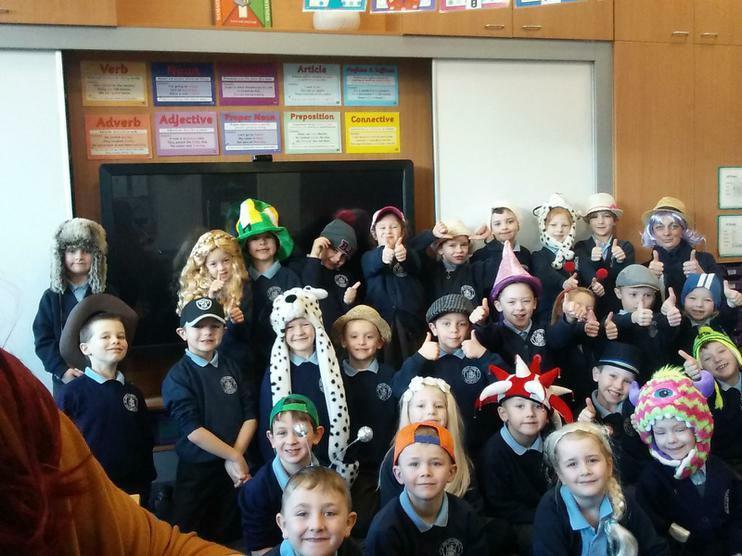 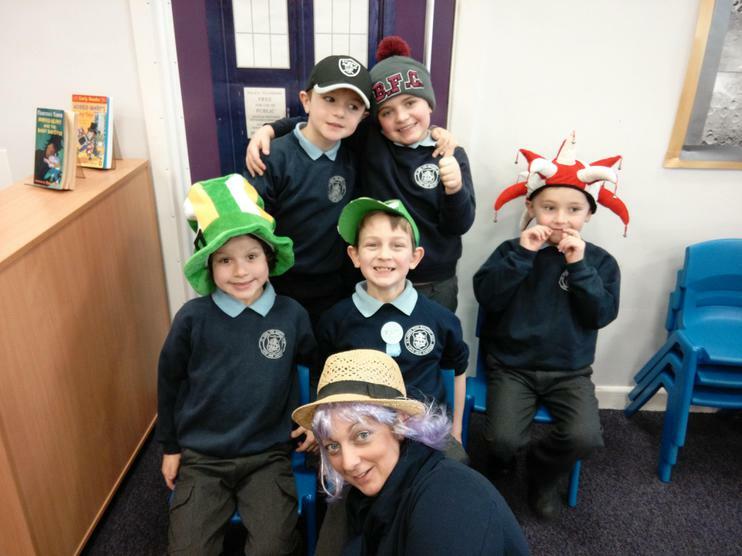 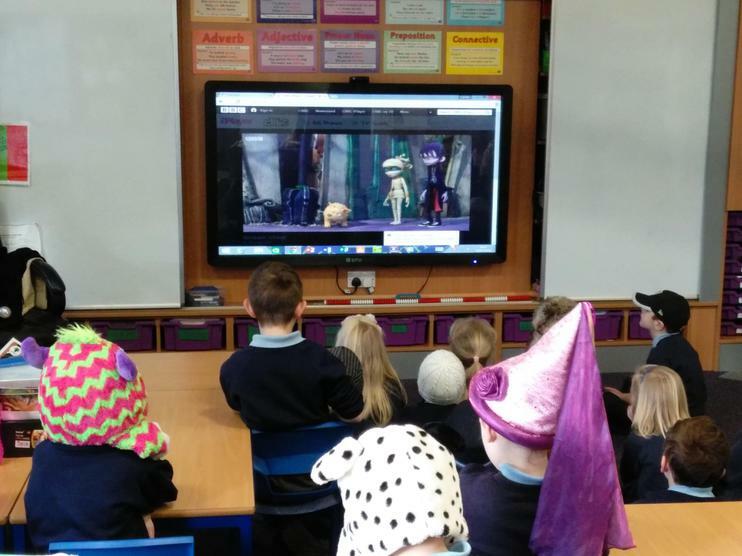 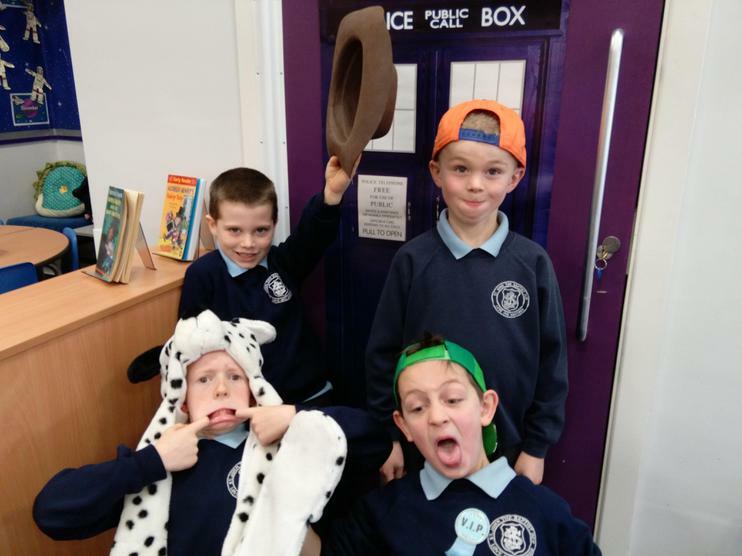 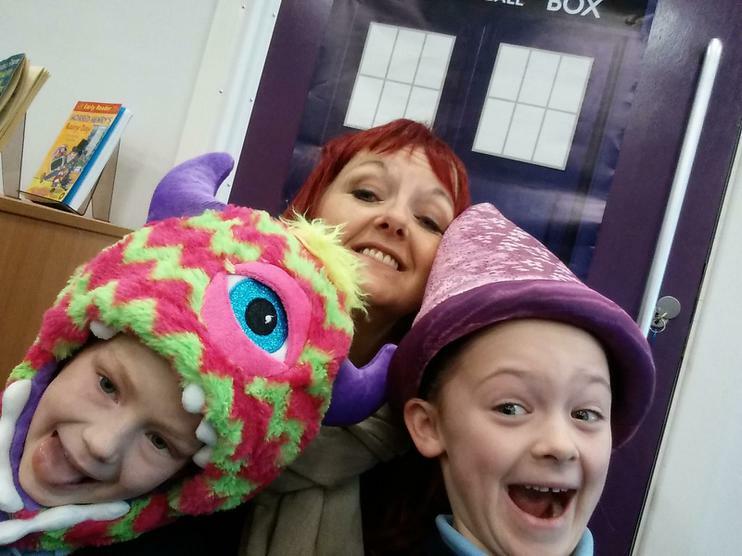 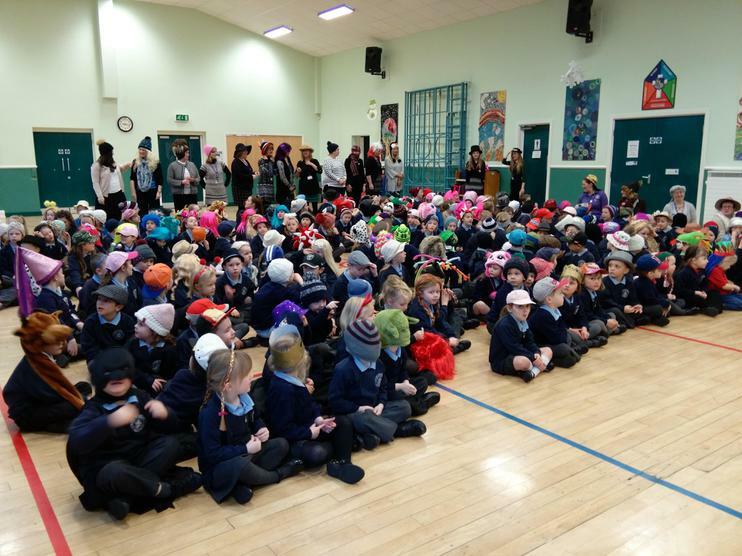 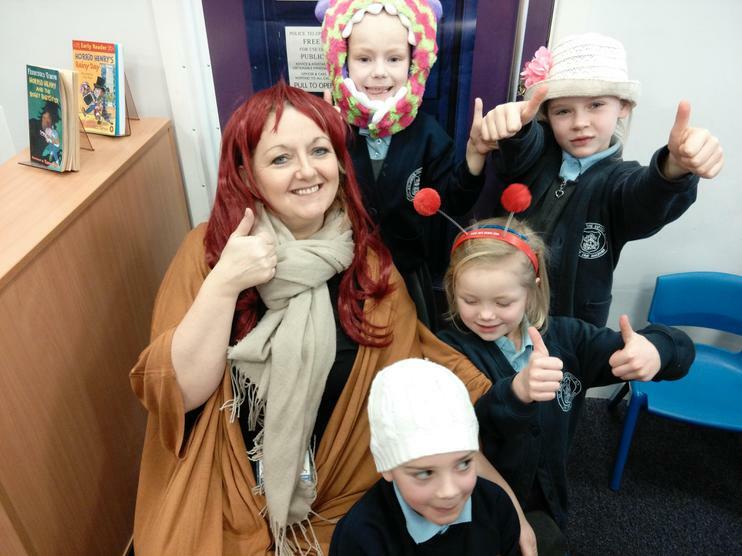 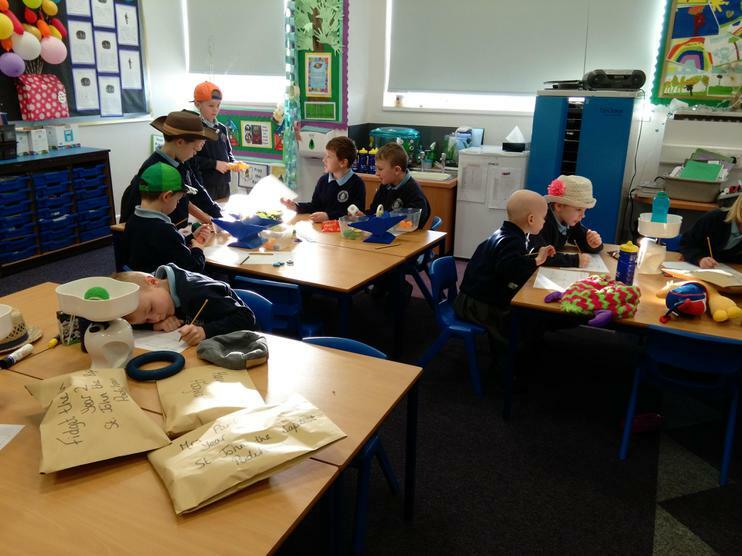 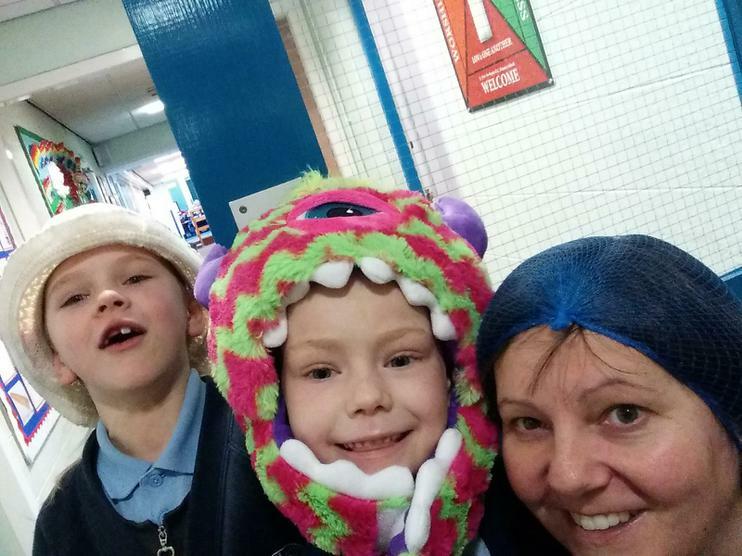 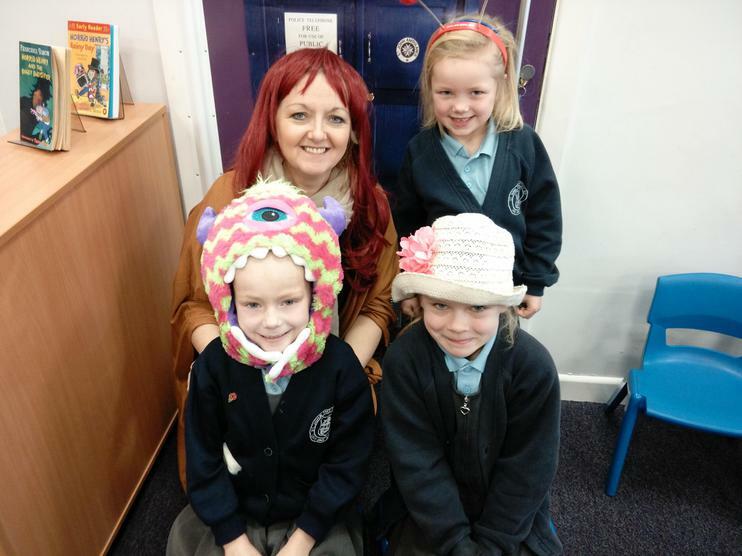 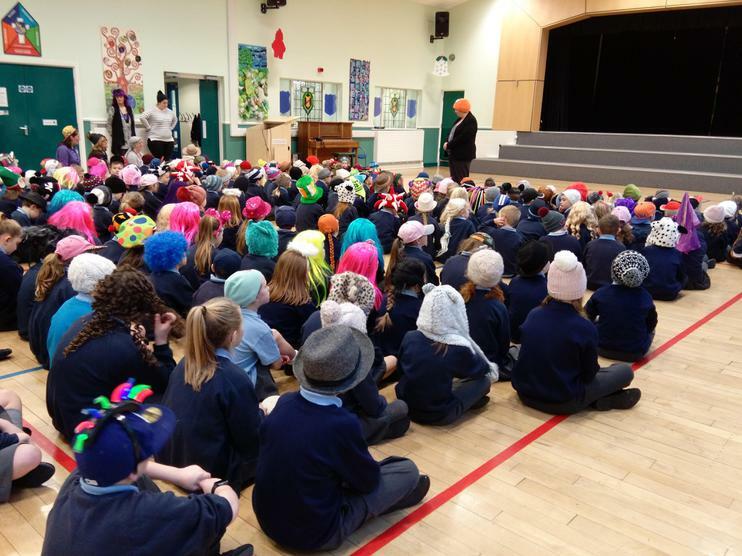 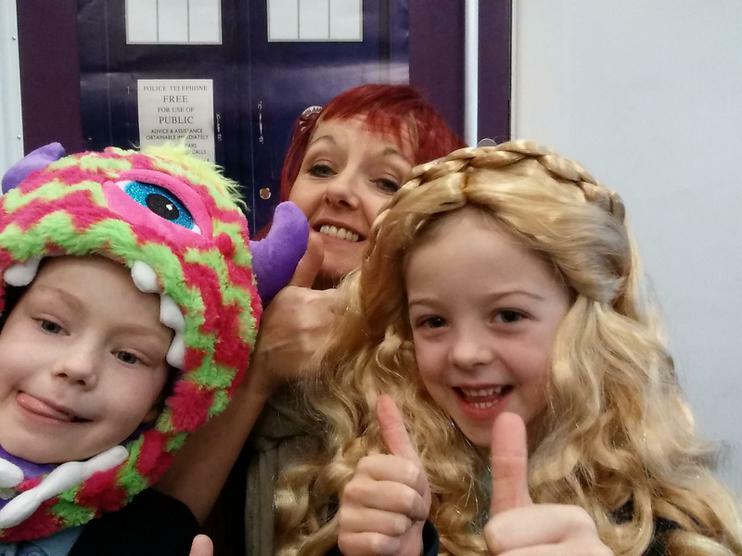 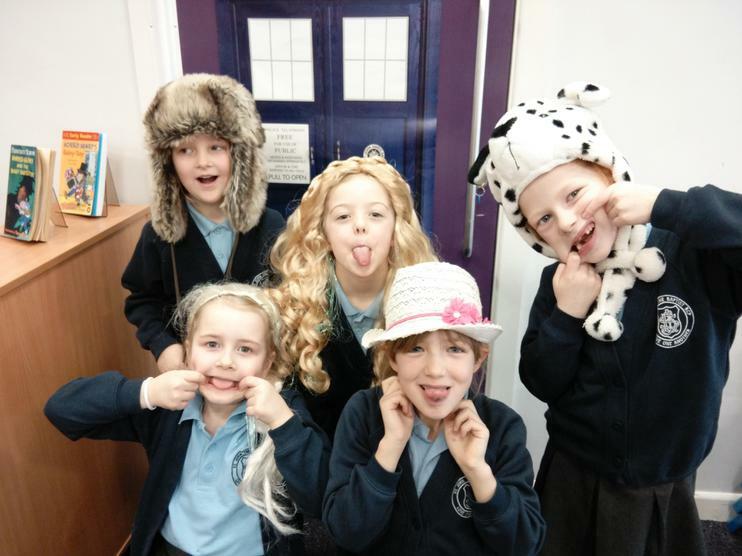 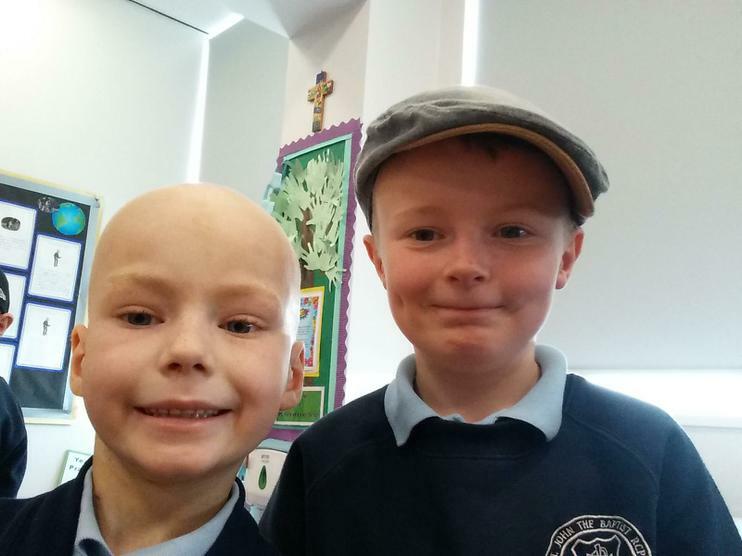 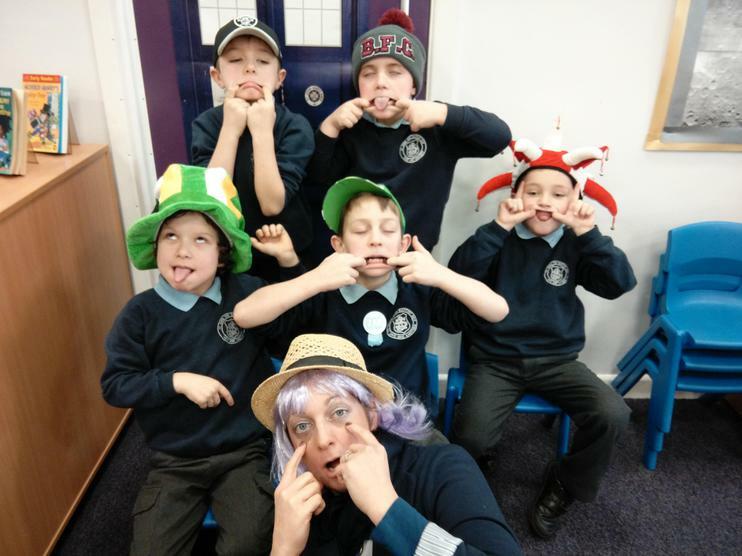 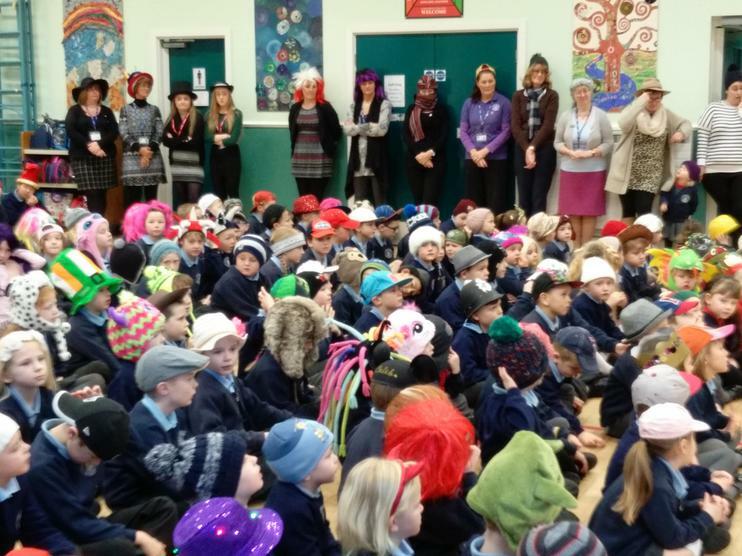 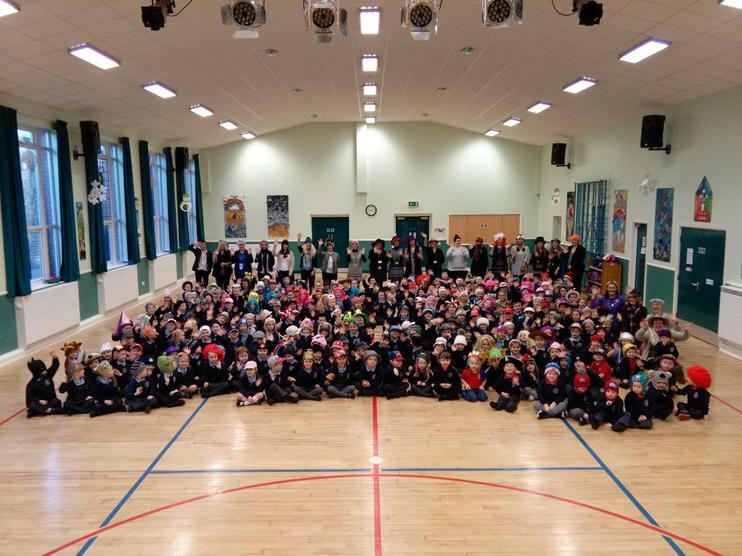 Year 2 have generously contributed to the total raised on our 'Wear Something Silly on your Head Day'. 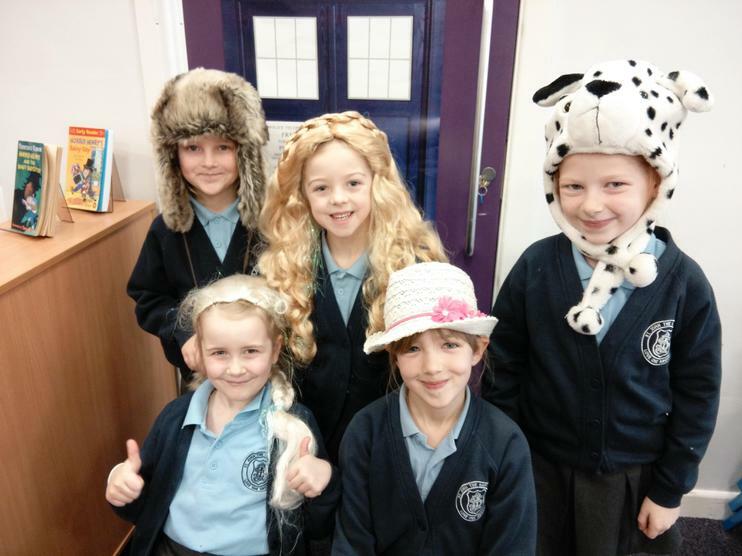 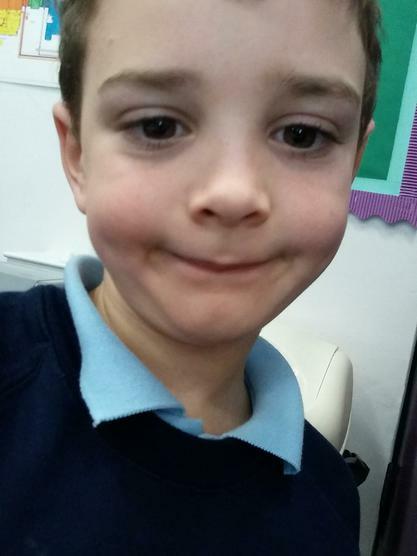 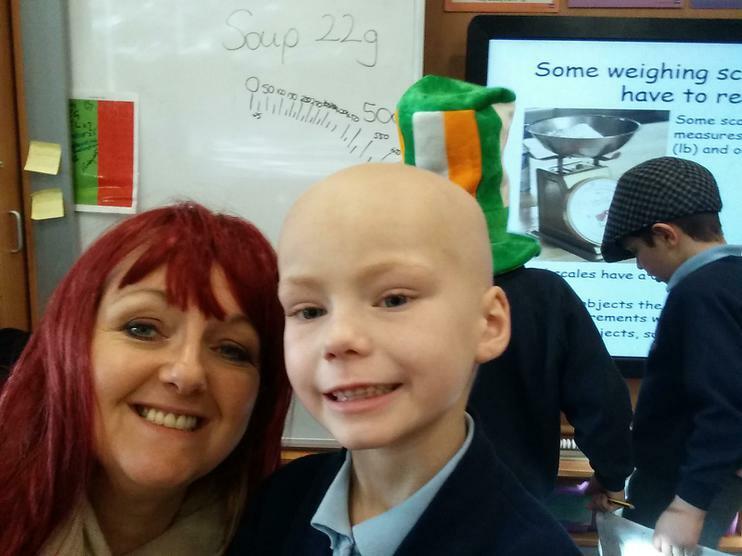 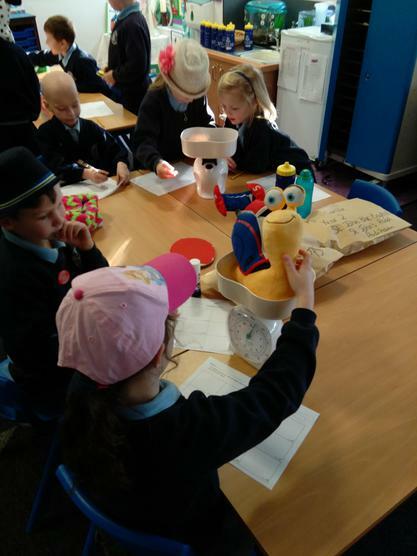 The class are also planning more fundraisers to help Tia's hospital as part of their Lentern promises. 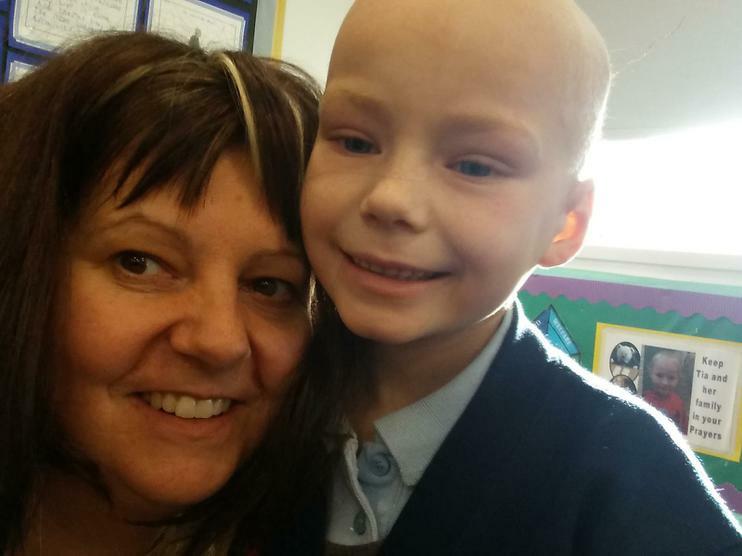 Tia also has a plan for Mrs Carlile to help raise funds and has been in deep discussion with Mrs McKeating about this! 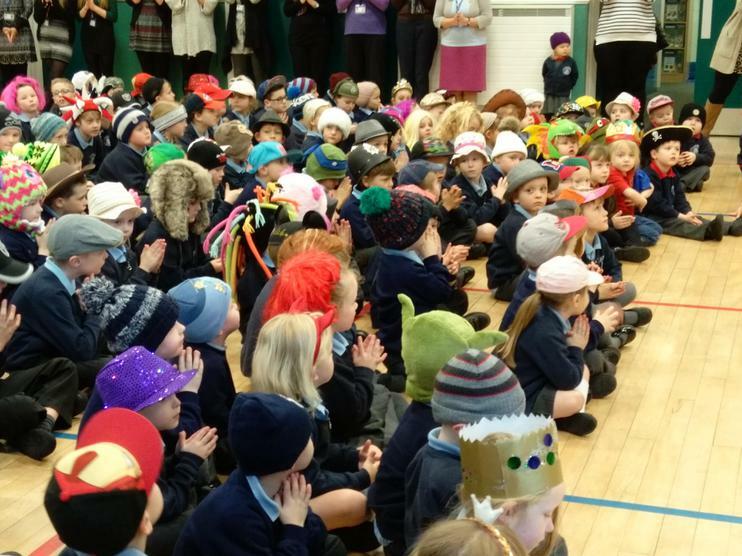 More details to follow... WATCH THIS SPACE! 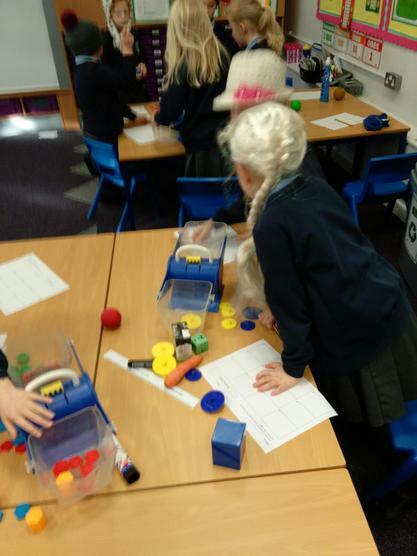 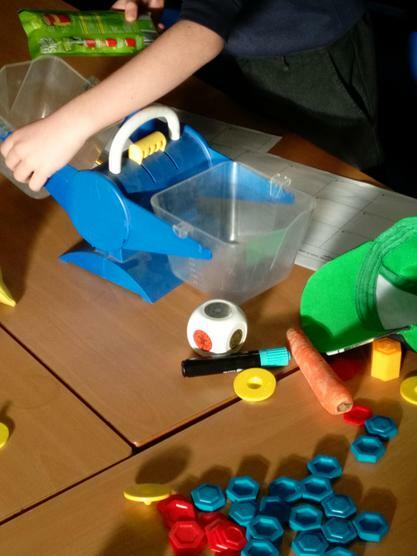 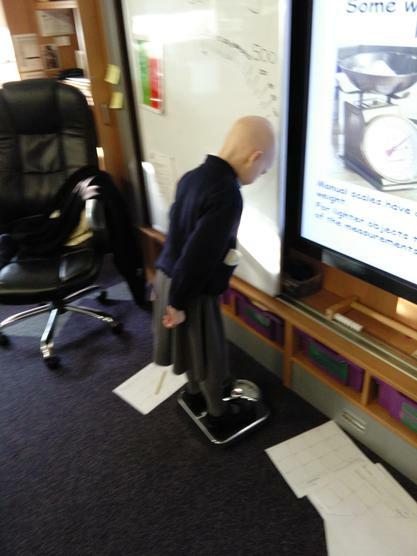 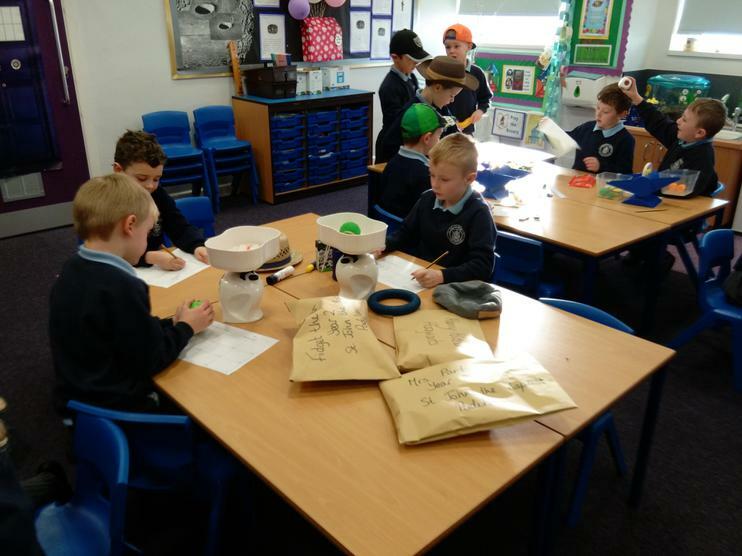 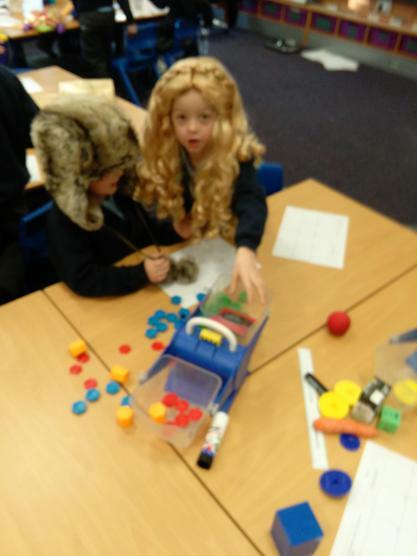 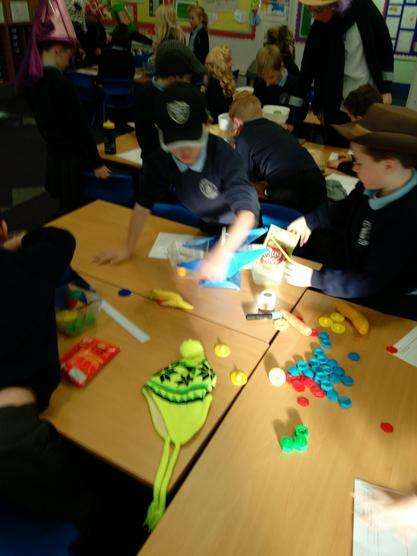 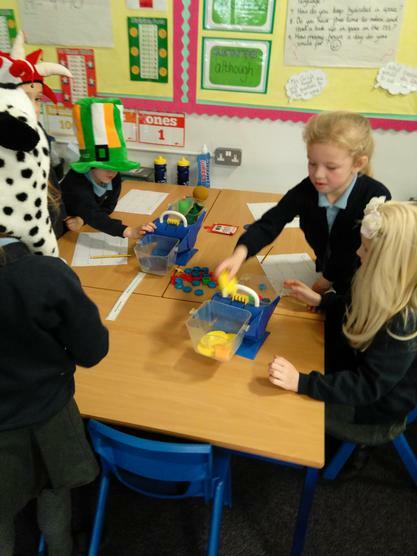 The photos below show the children having fun whilst investigating weight during a Maths lesson. 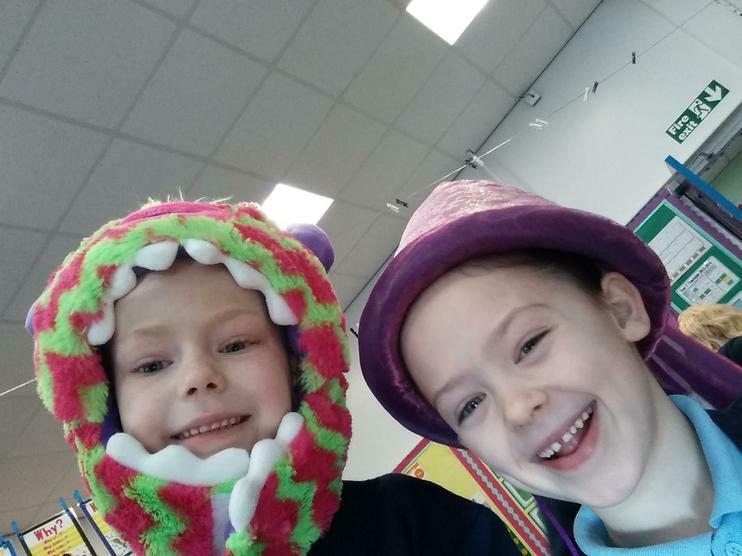 Tia also ran wild with a selfie stick and we make no apologies for the silly faces that we made...they matched our silly wigs and hats. 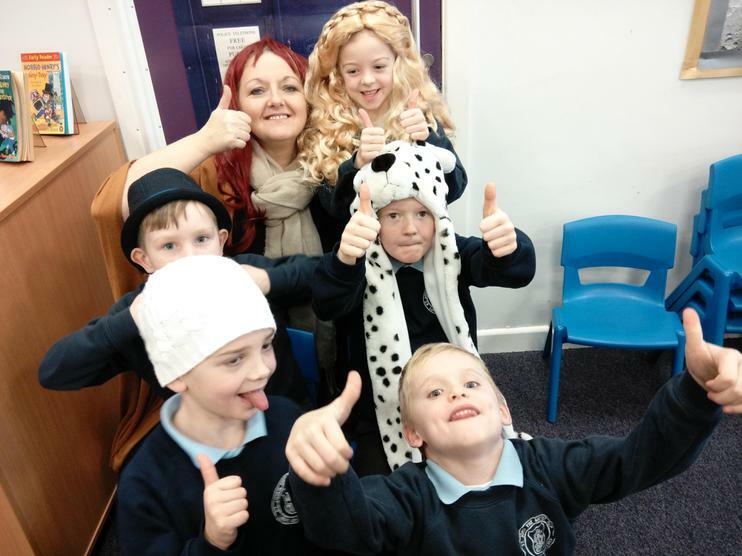 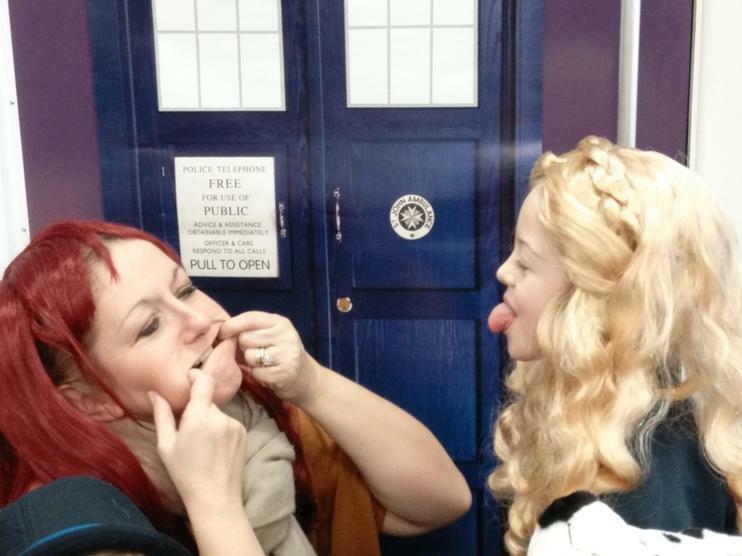 However, Mrs Carlile does apologise for her 'slipping wig'. 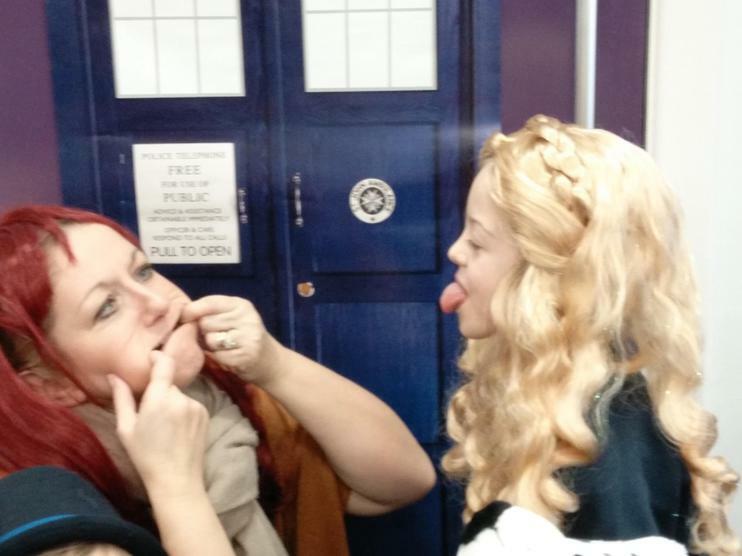 It had a mind of its own!